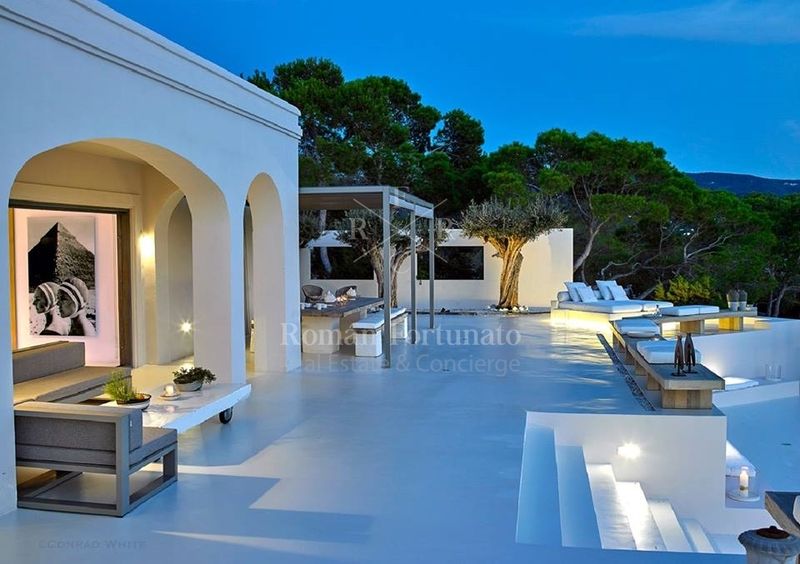 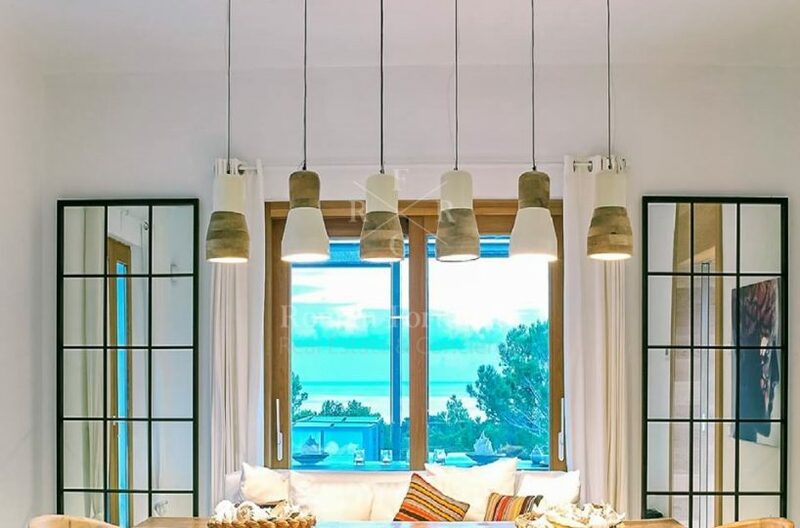 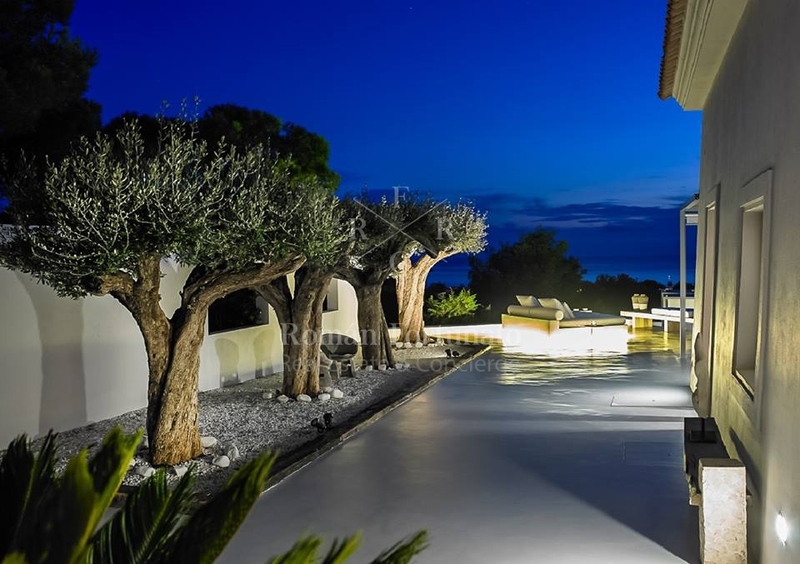 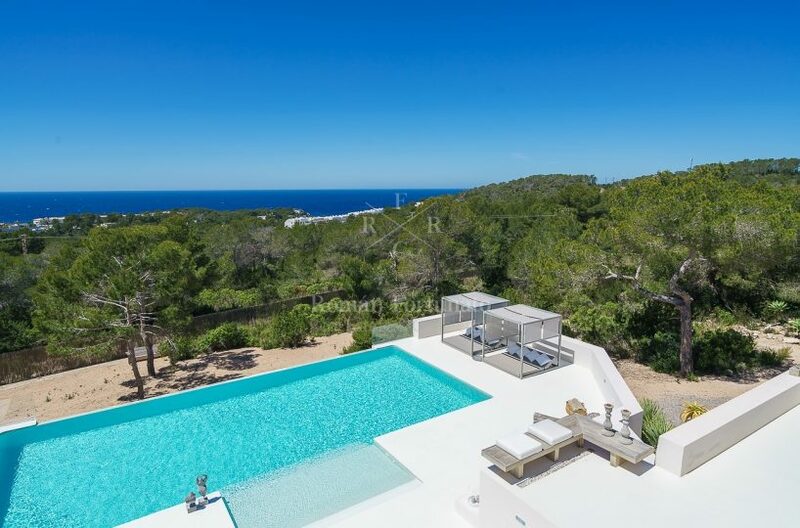 Conveniently located on the southern coast of Ibiza, Villa Can Gospa is the perfect home base for an unforgettable posh Mediterranean vacation. 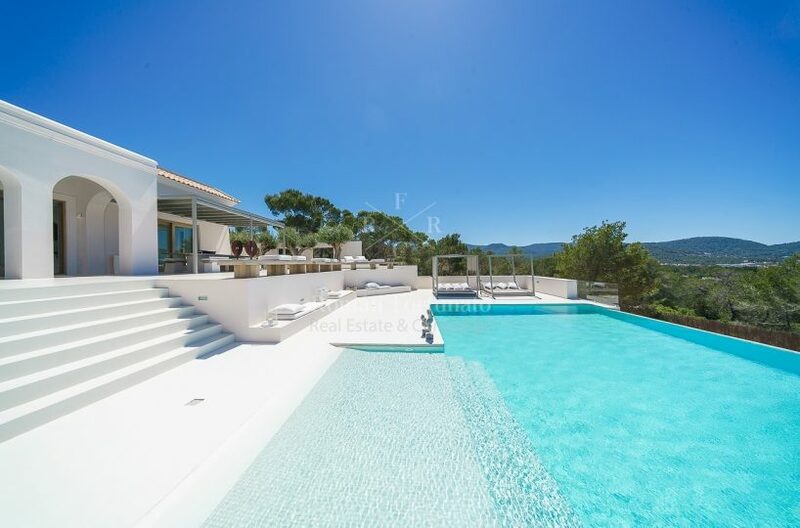 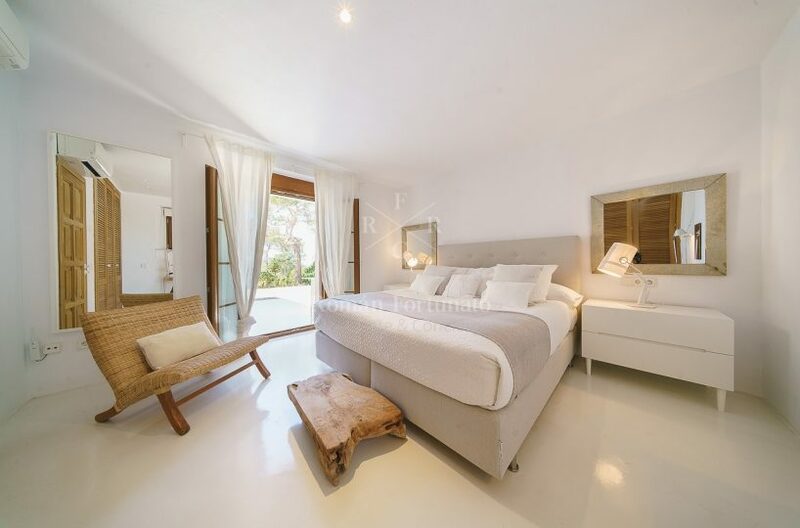 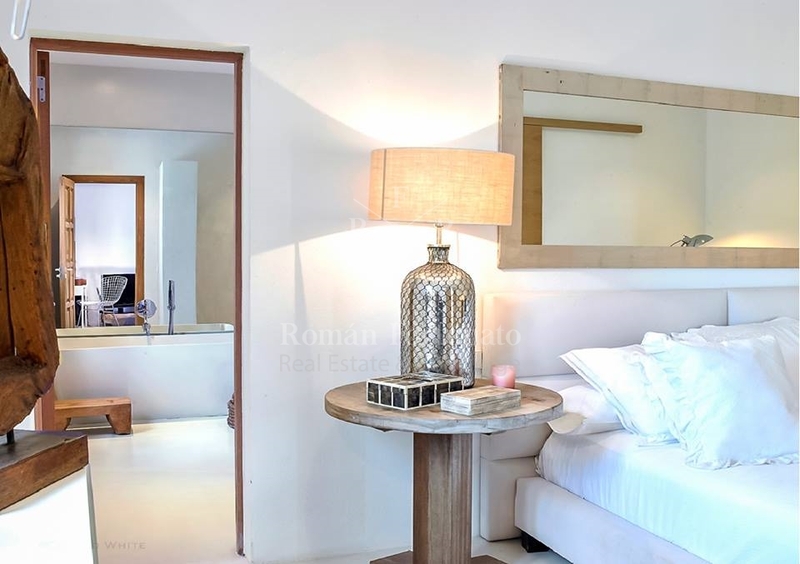 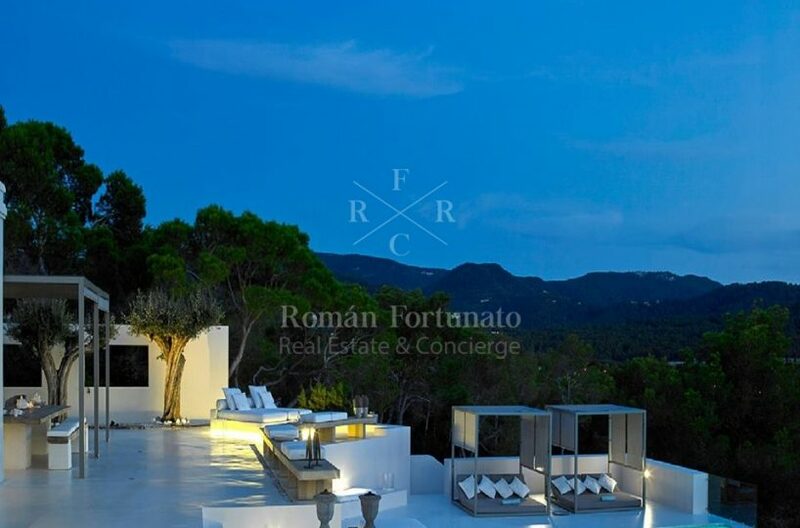 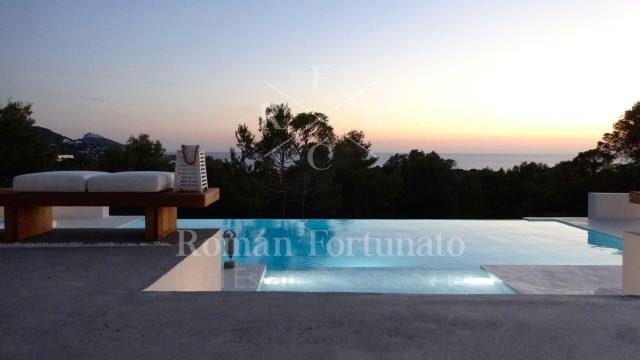 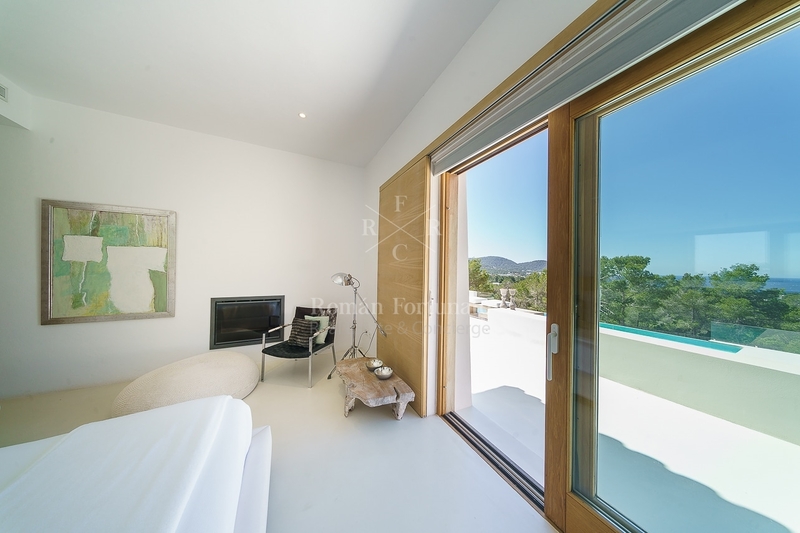 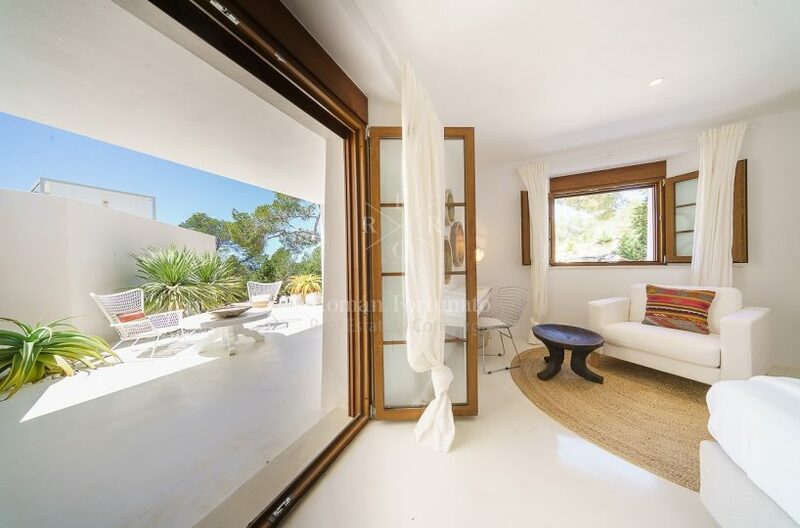 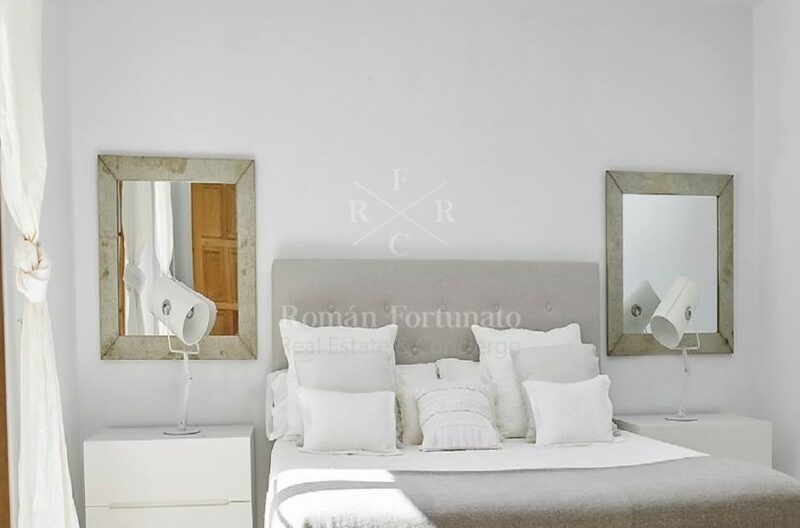 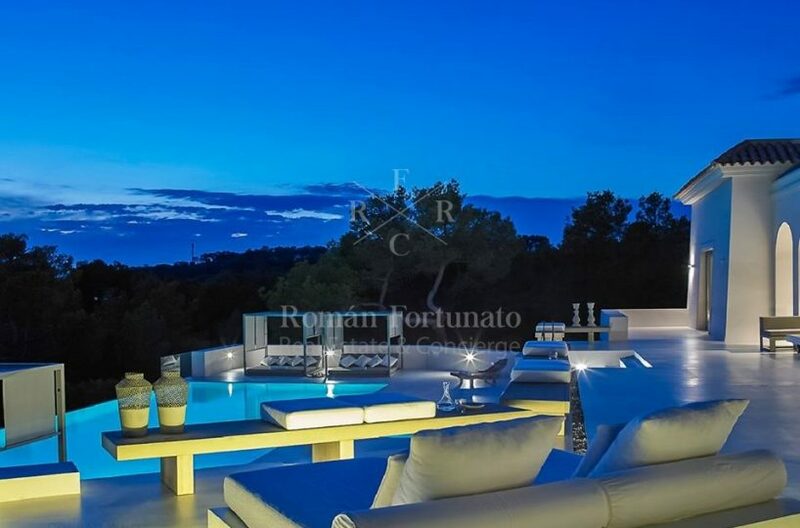 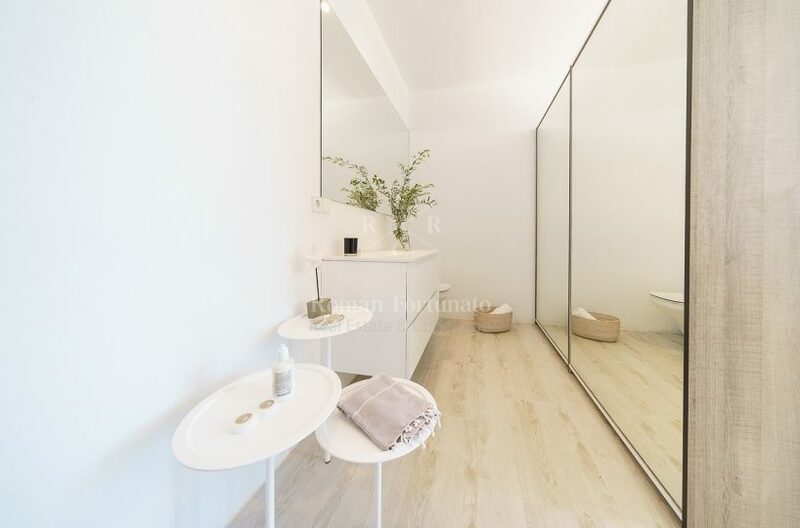 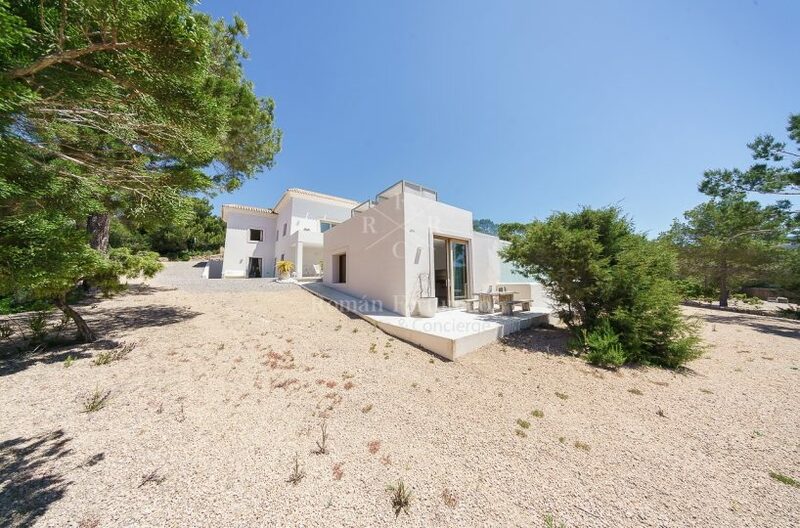 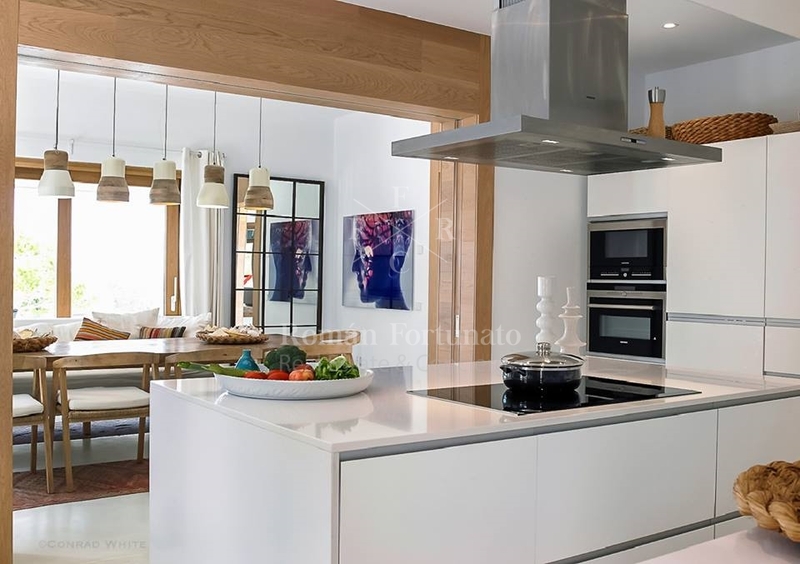 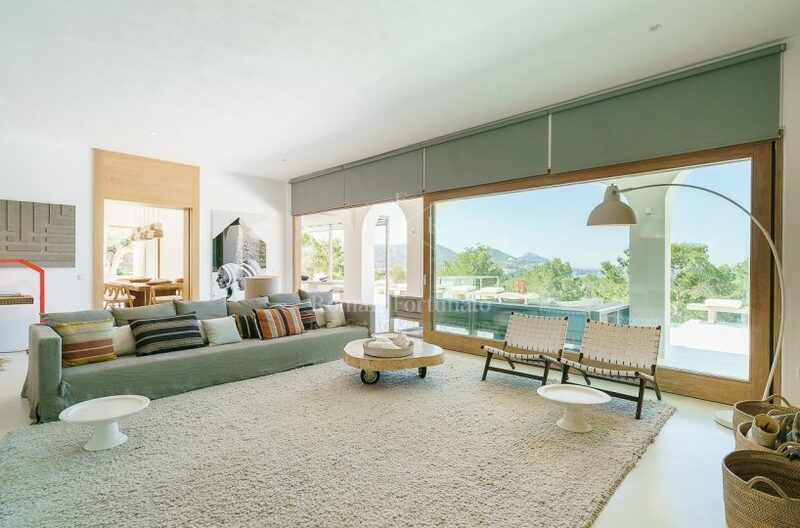 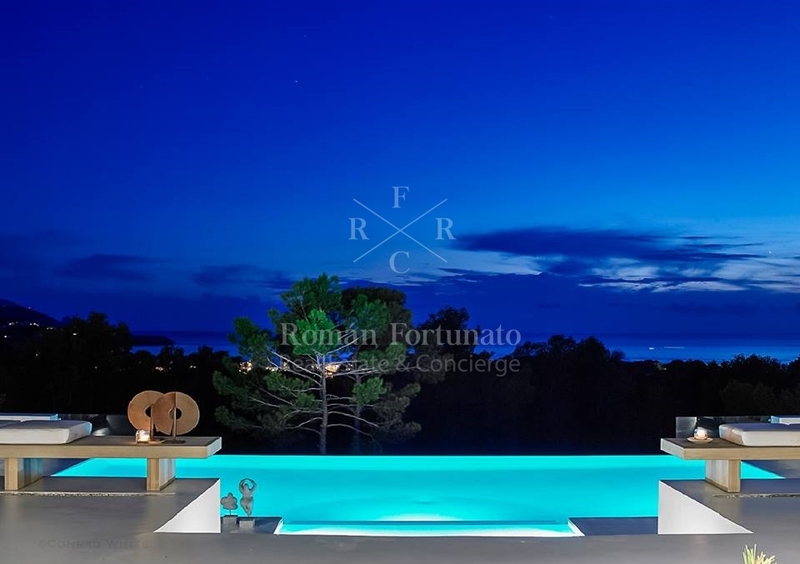 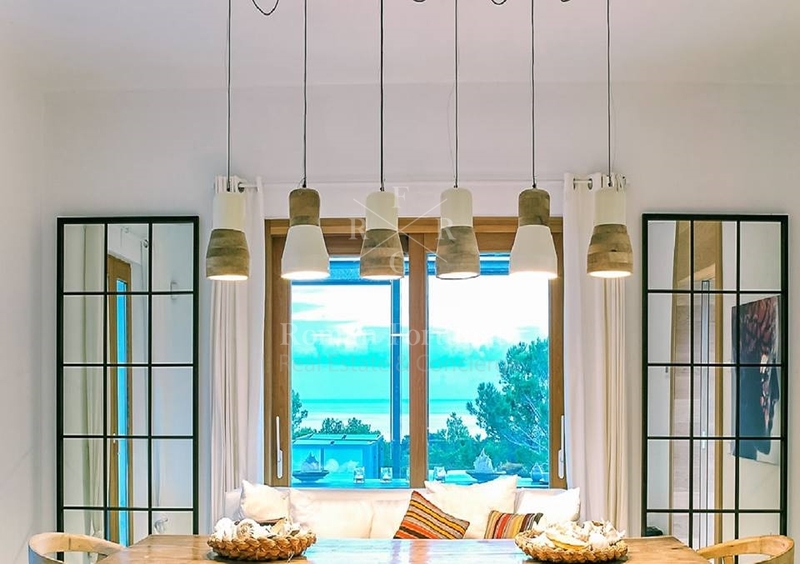 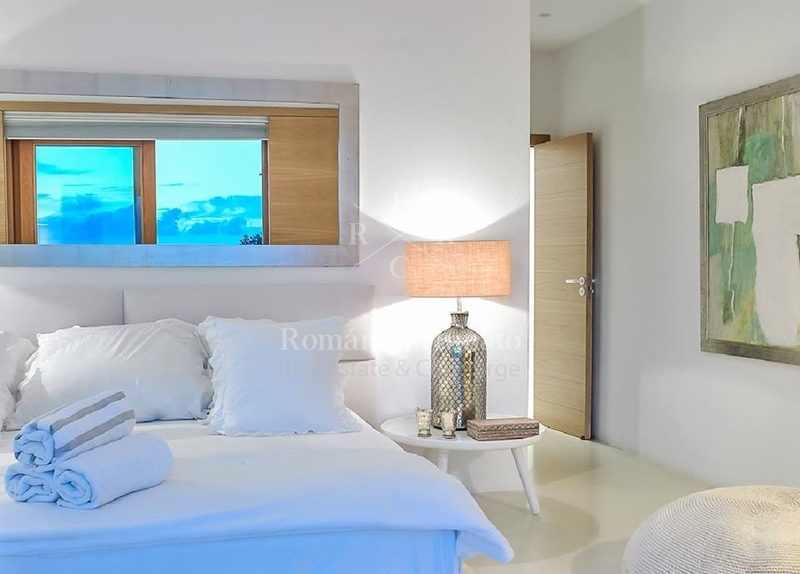 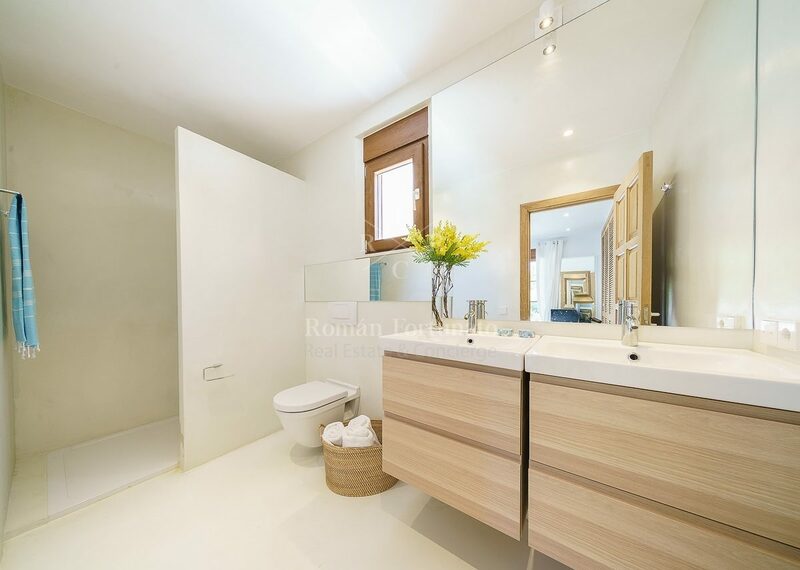 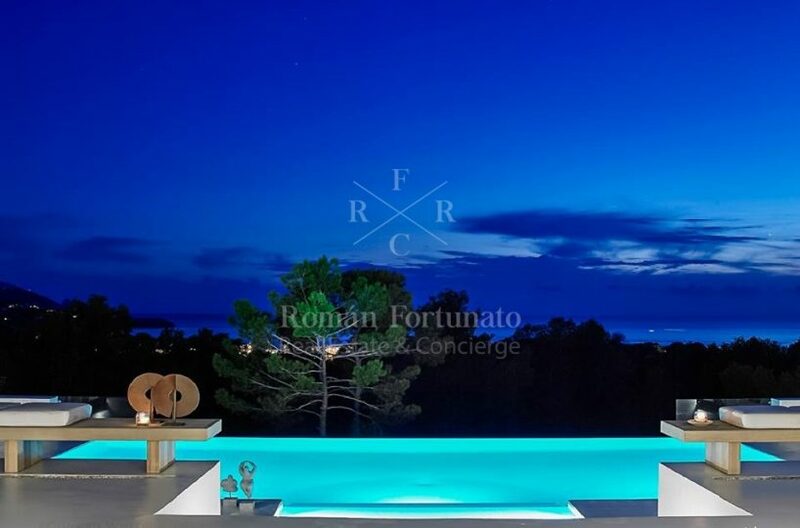 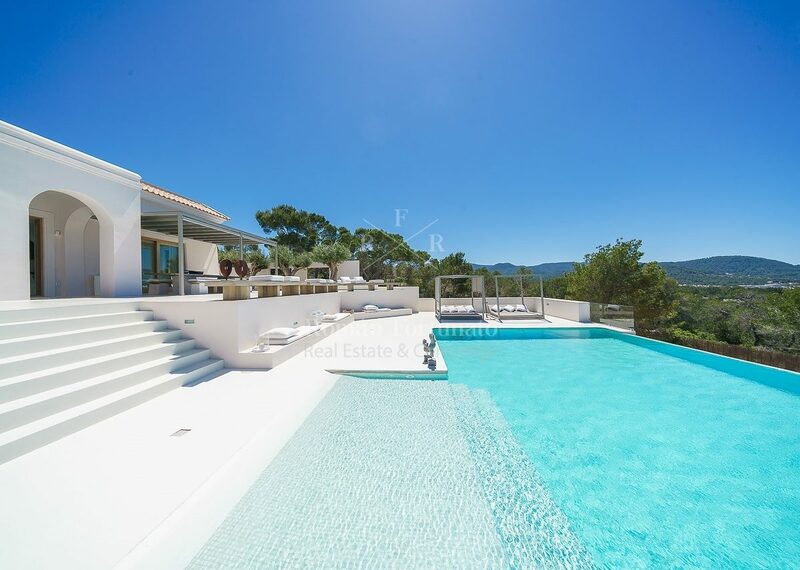 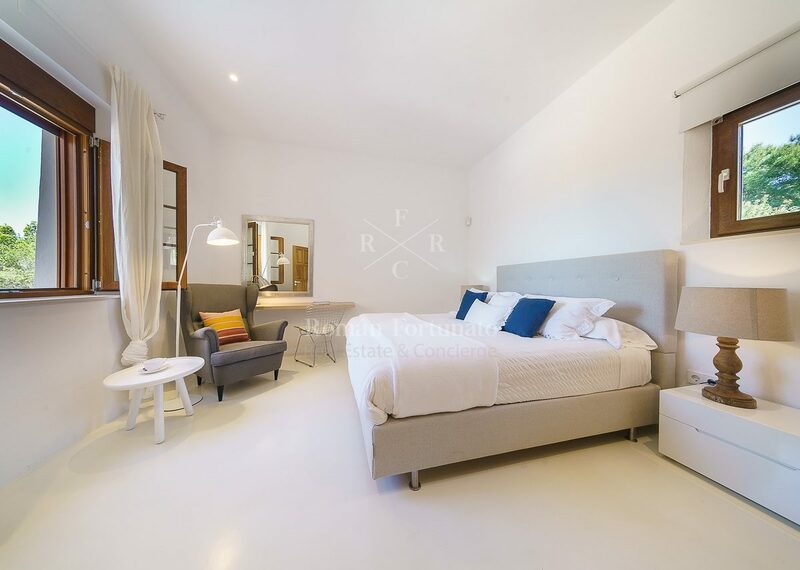 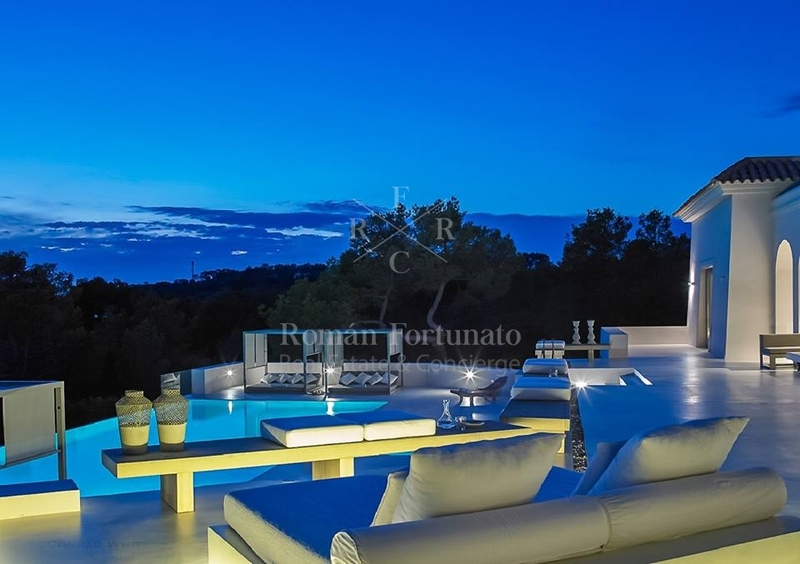 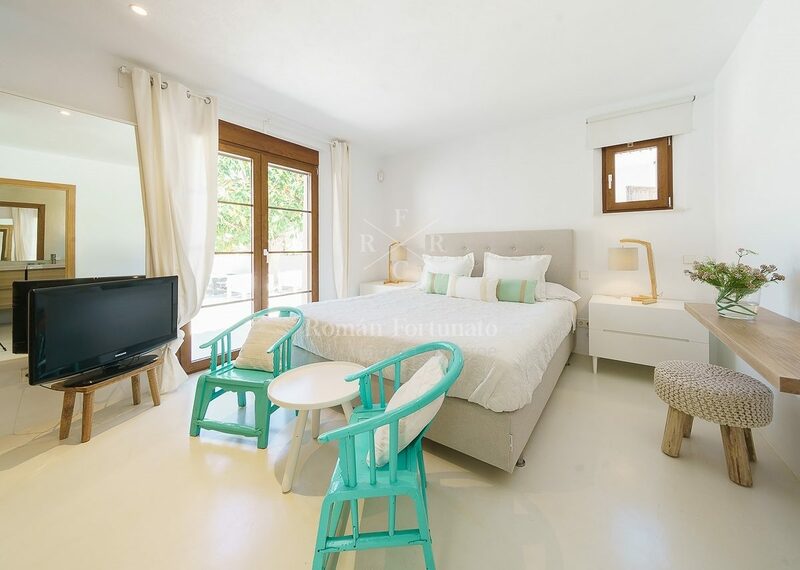 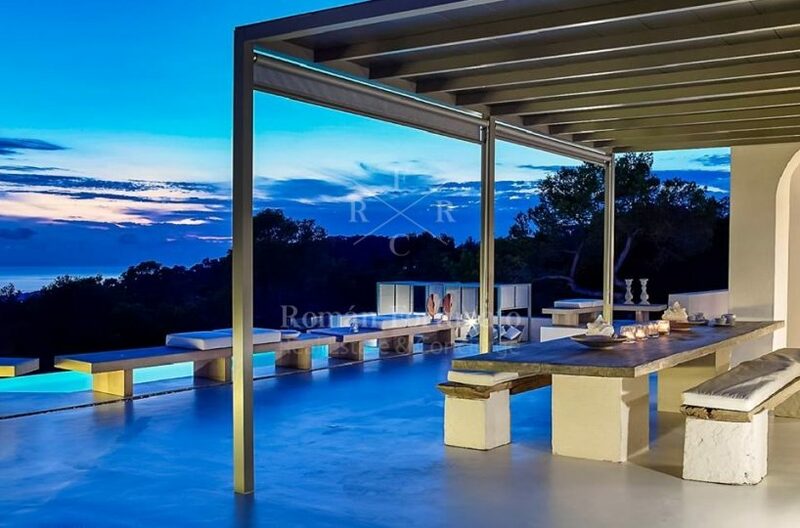 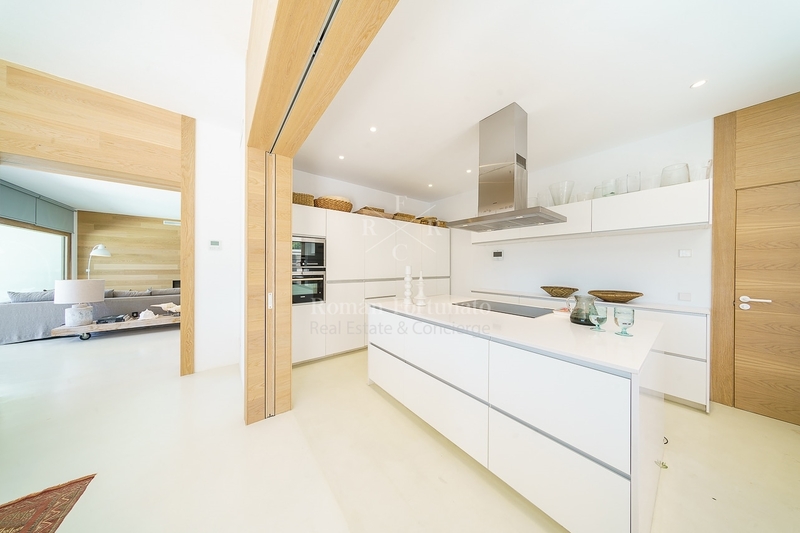 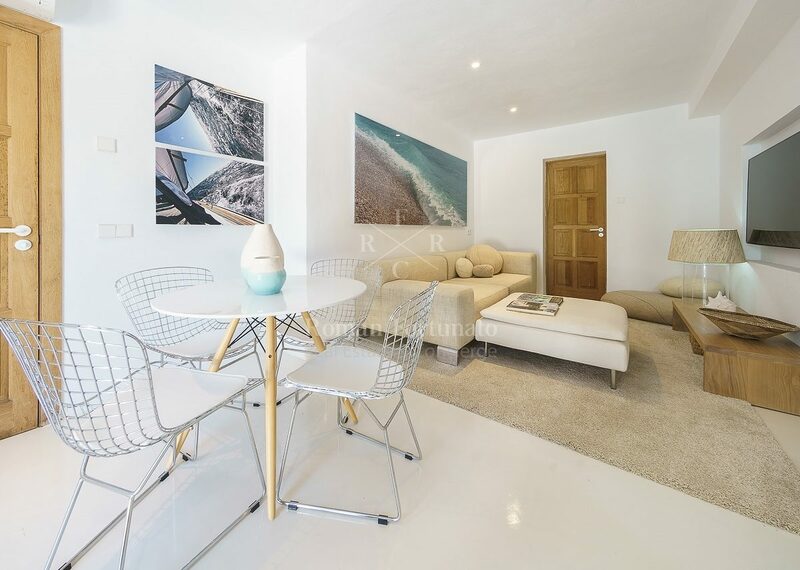 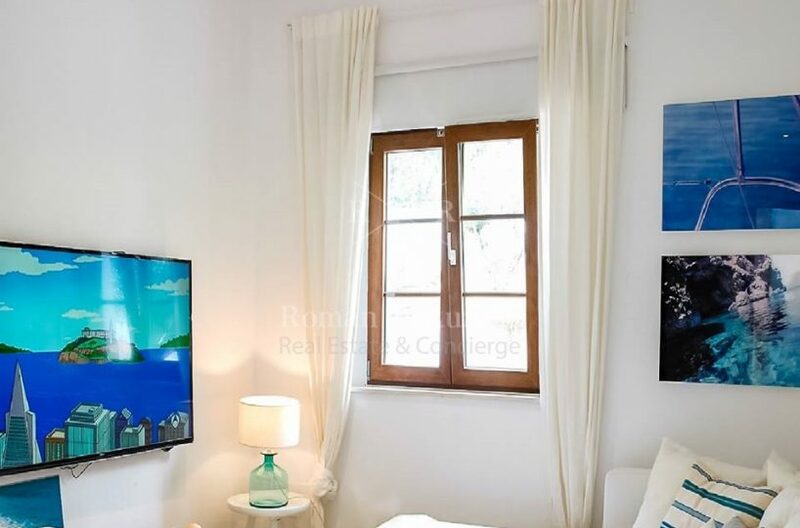 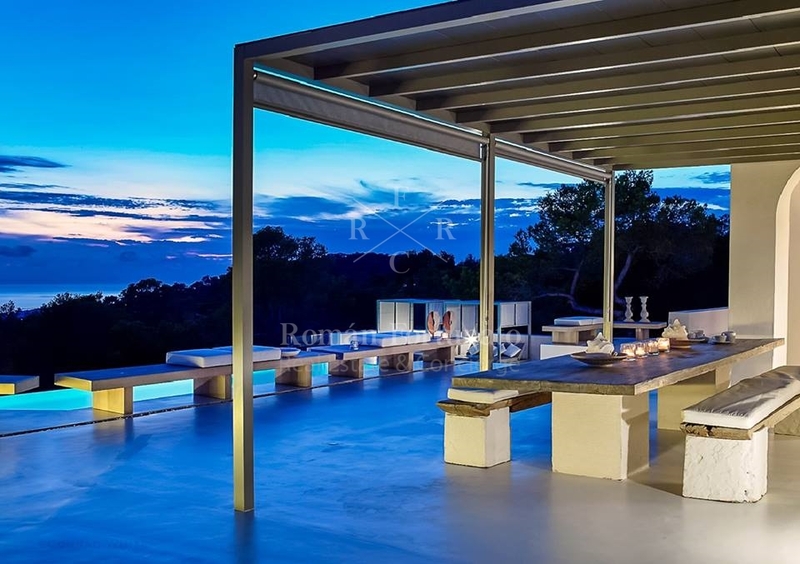 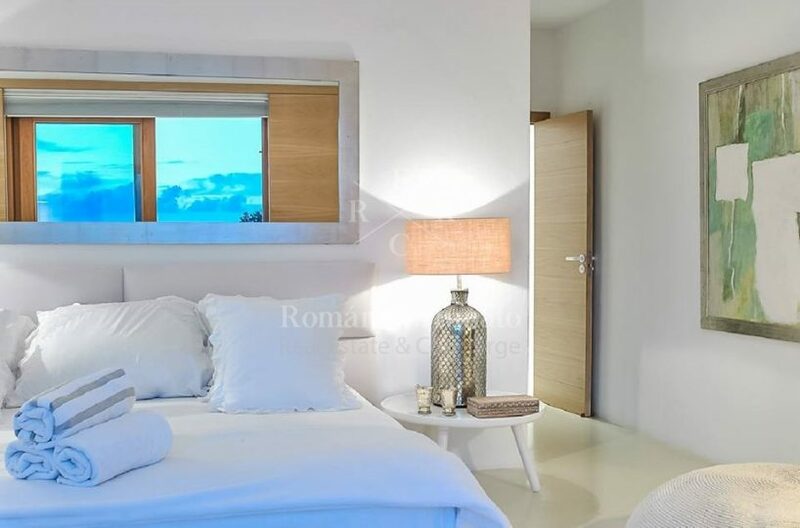 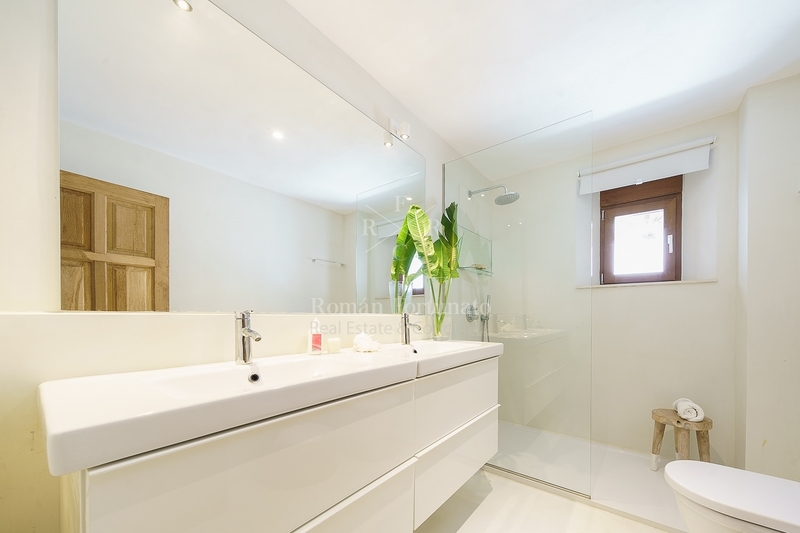 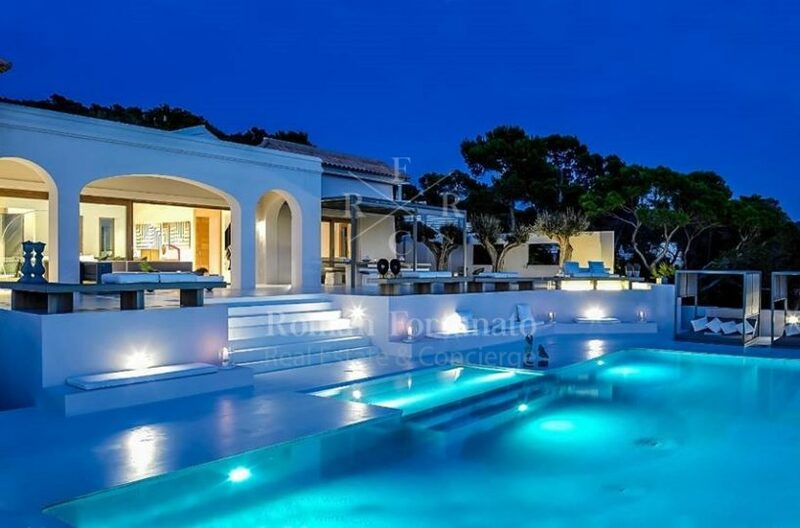 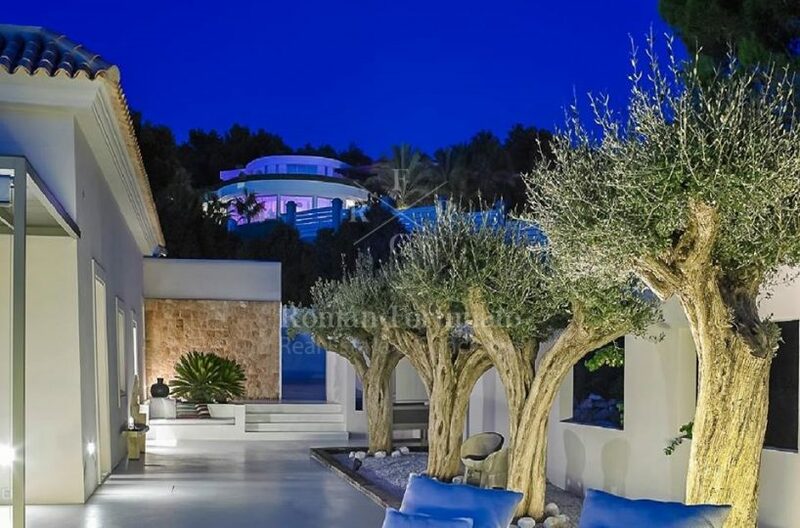 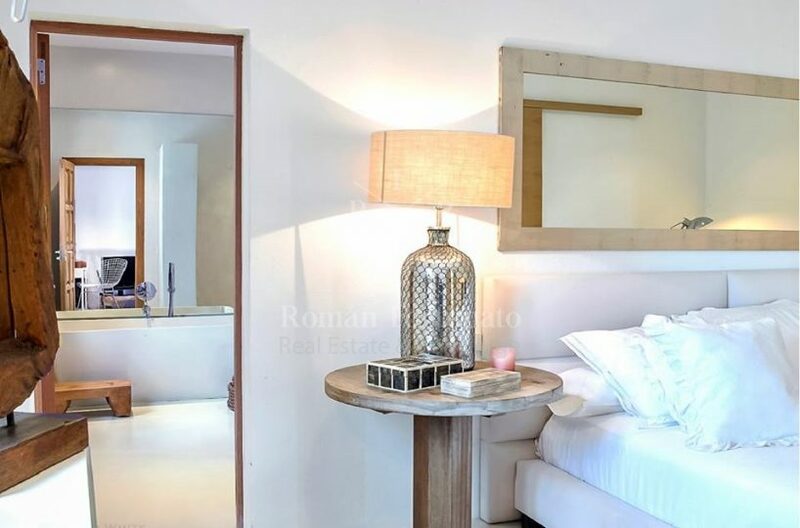 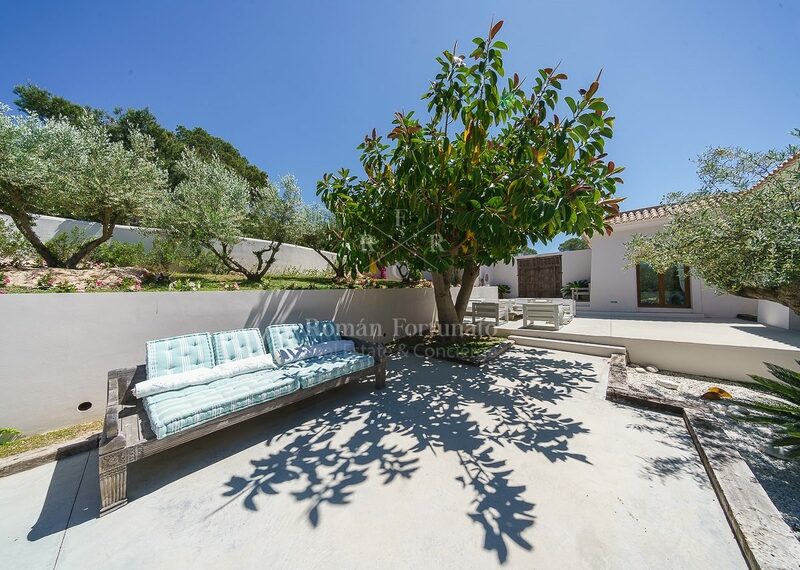 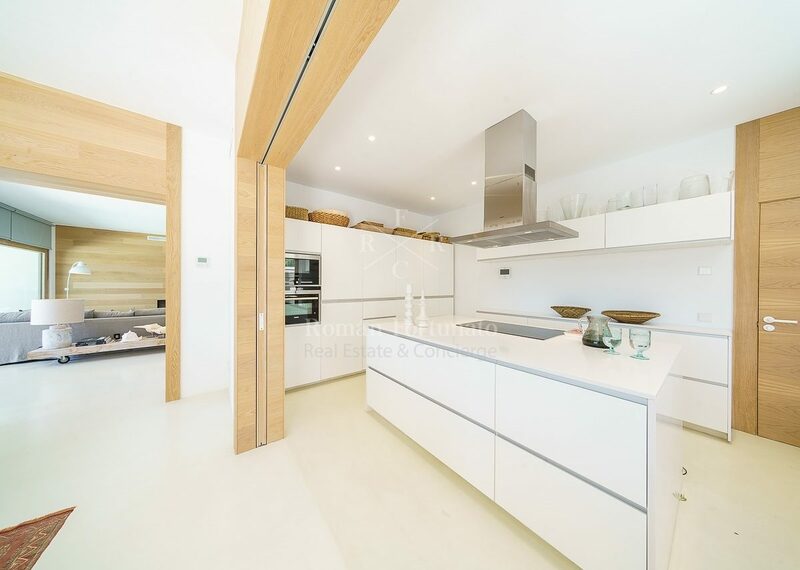 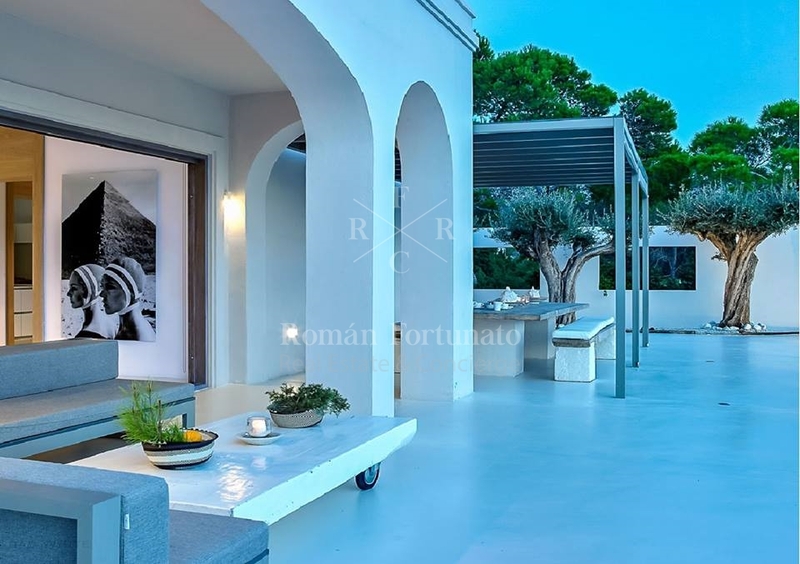 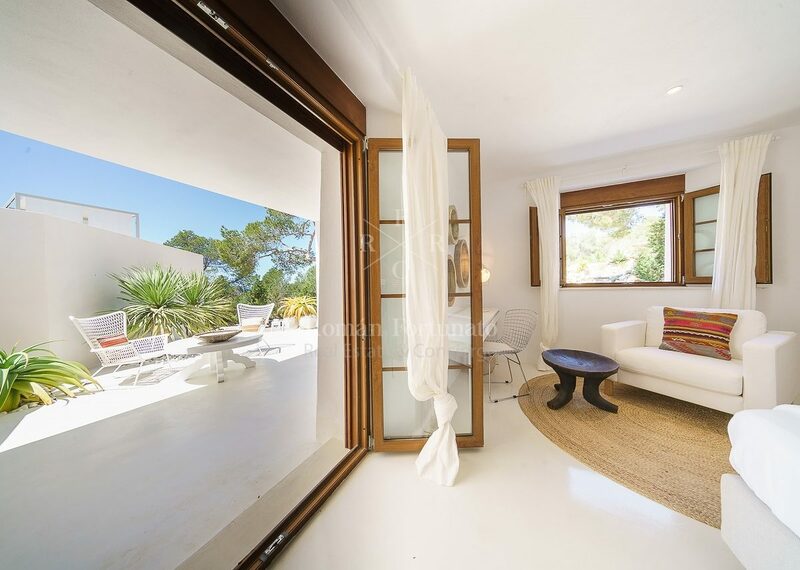 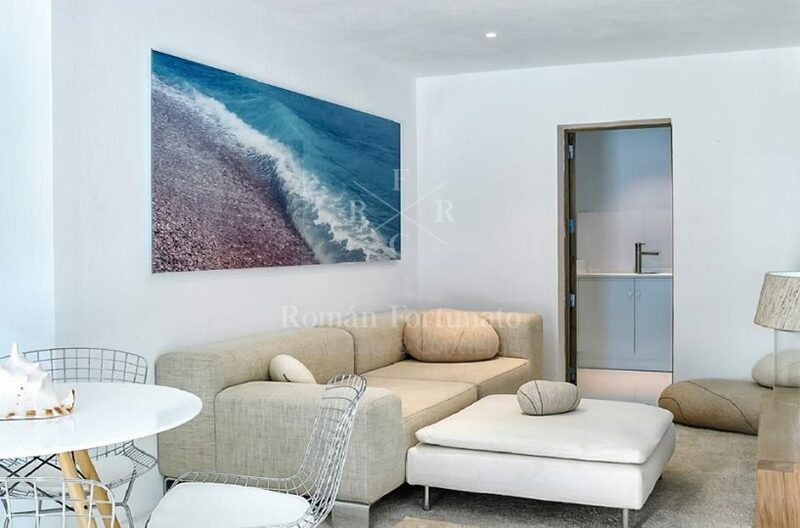 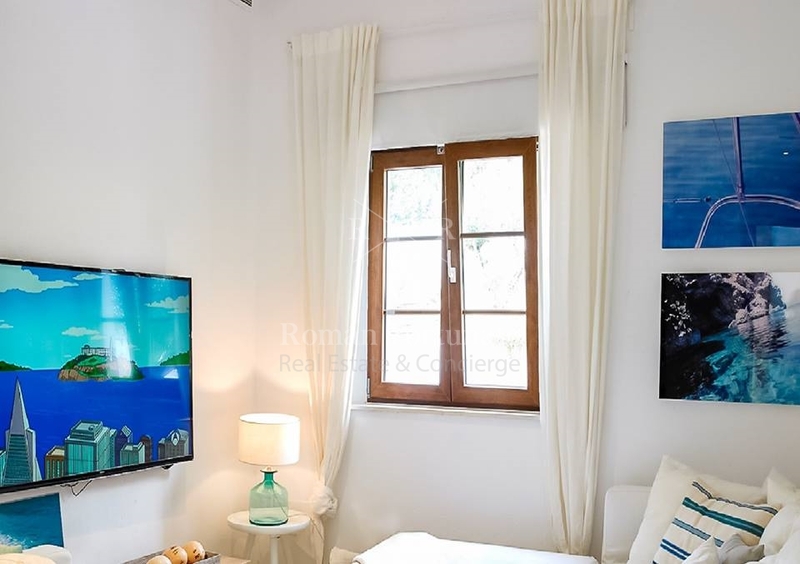 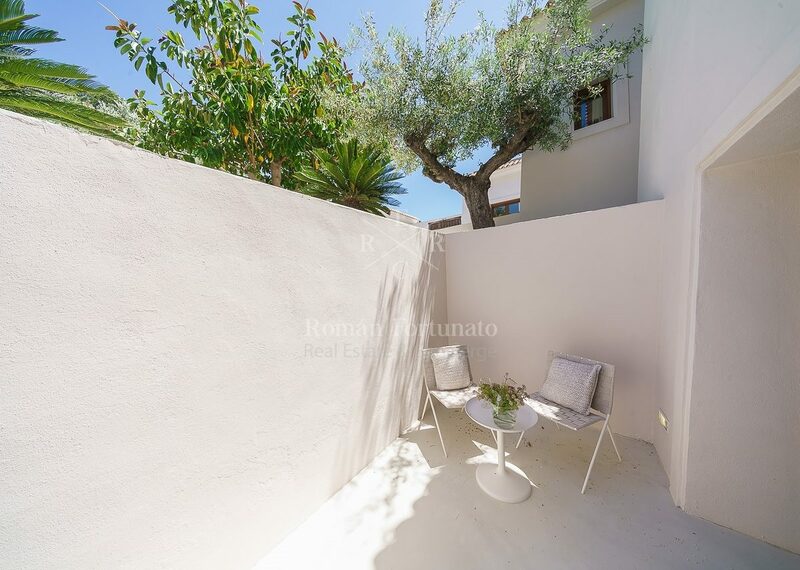 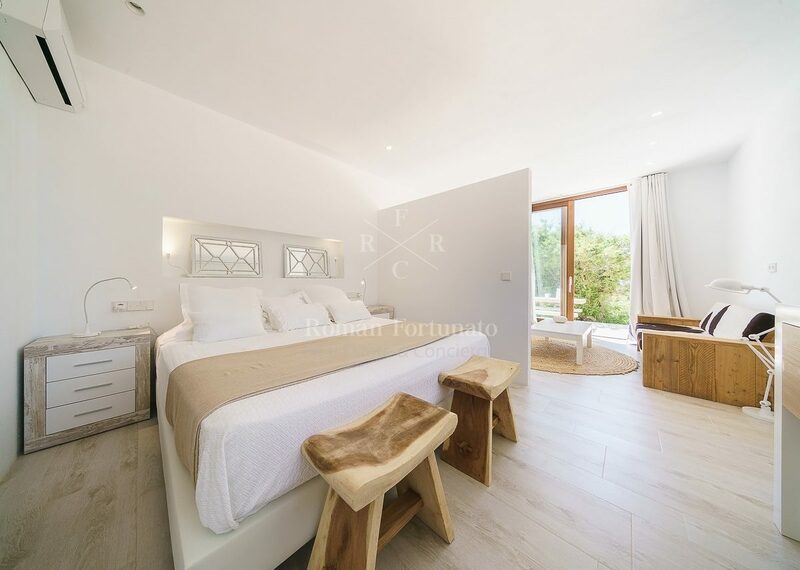 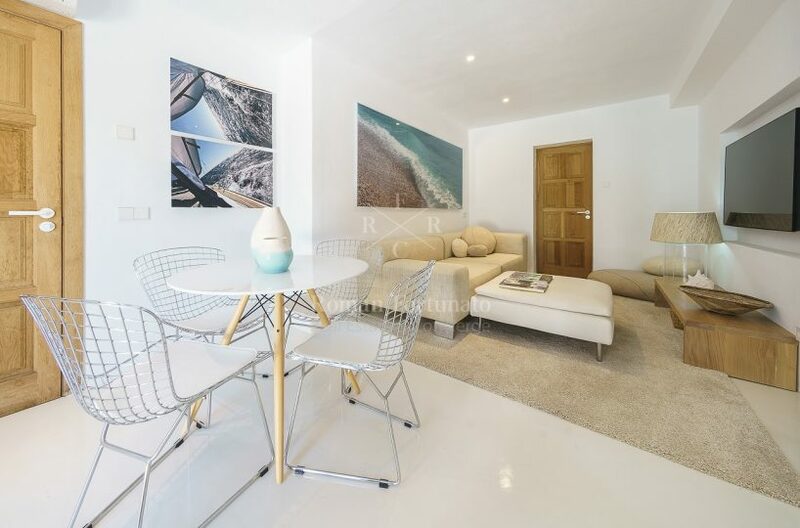 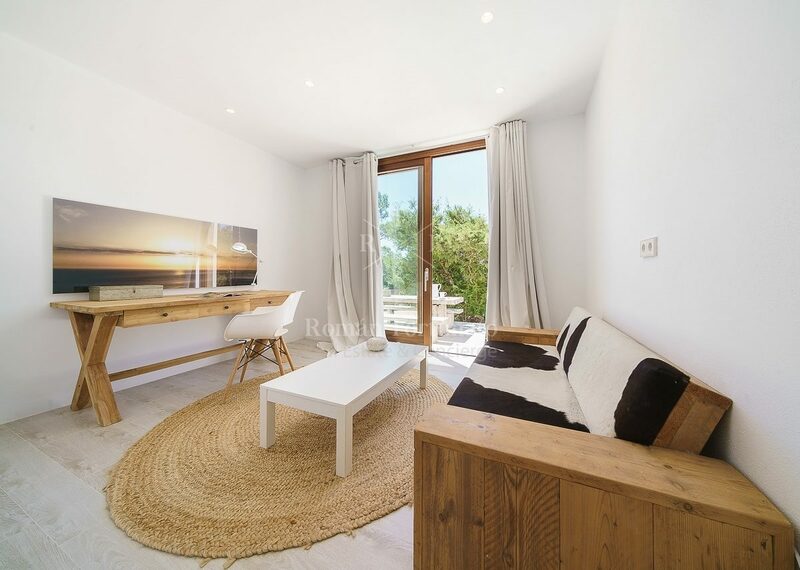 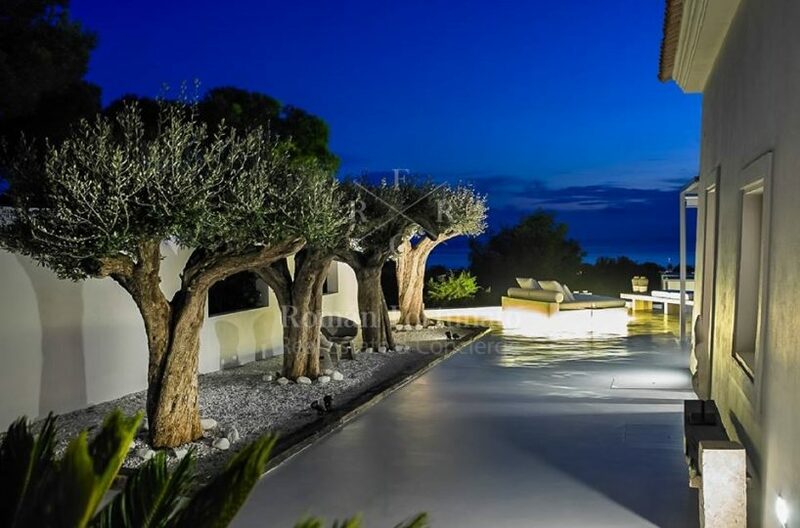 Situated about twelve kilometres from Sant Antoni, and twenty-one from downtown Ibiza, Villa Can Gospa is close to all the action, while remaining private and secluded. 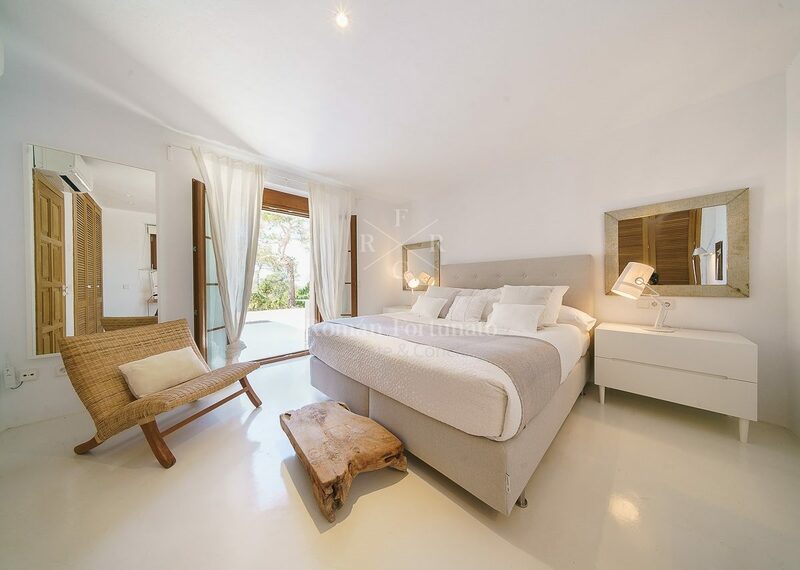 With accommodations for sixteen and plenty of social space, this villa is ideal for hosting large groups. 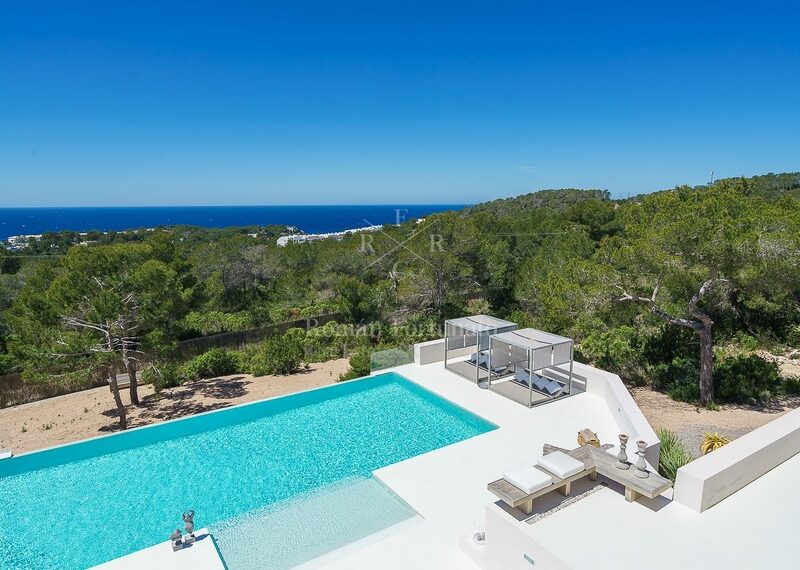 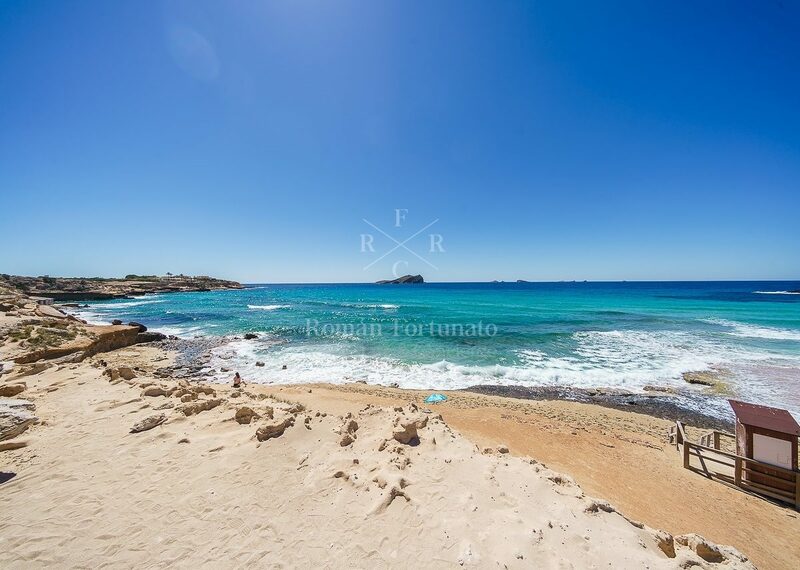 And, it’s right by the beautiful white sands of Cala Tarida Beach. 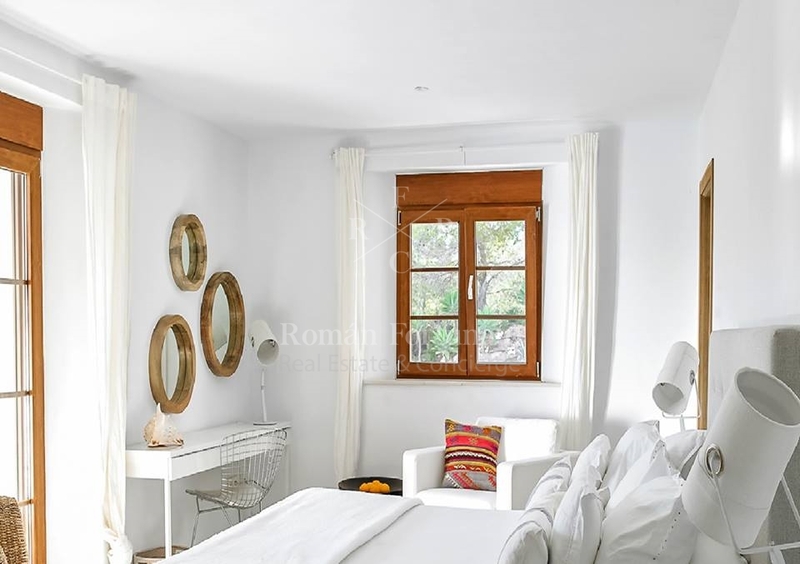 Perched on a hillside overlooking the Med, Villa Can Gospa is a tranquil private oasis. 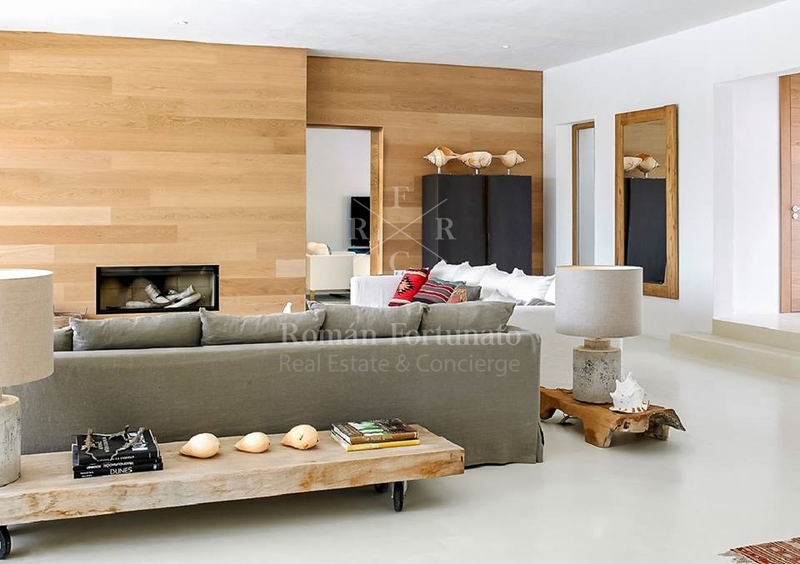 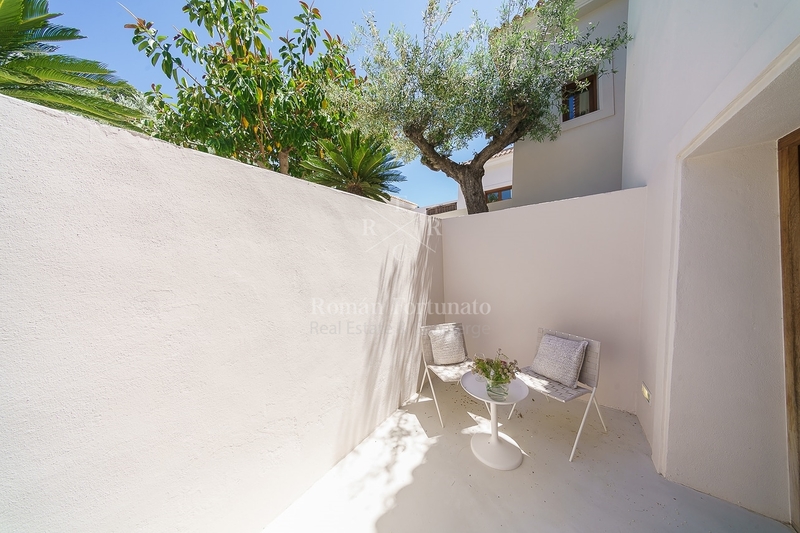 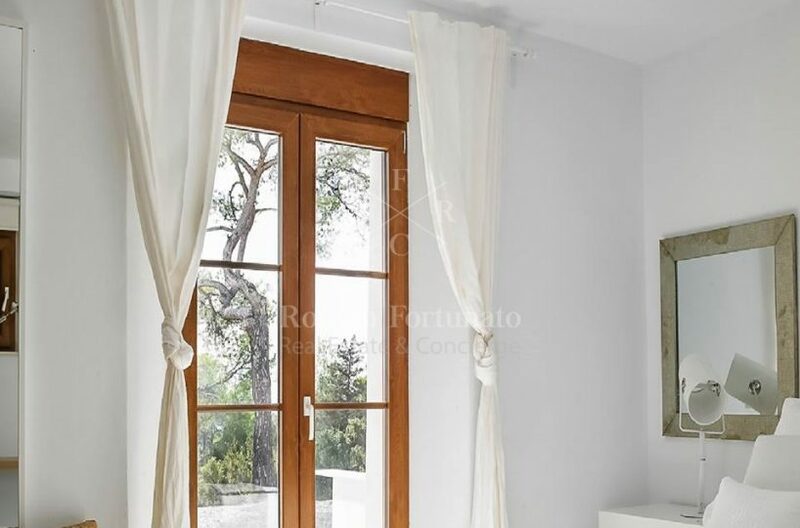 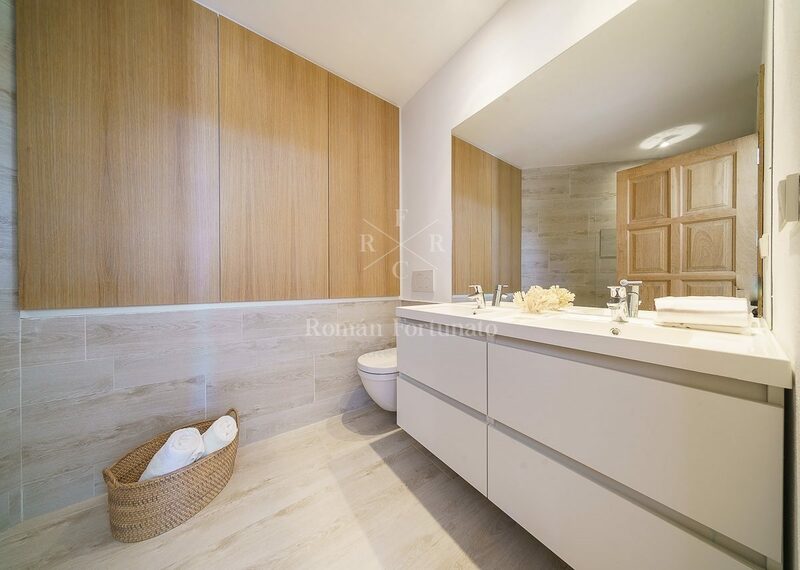 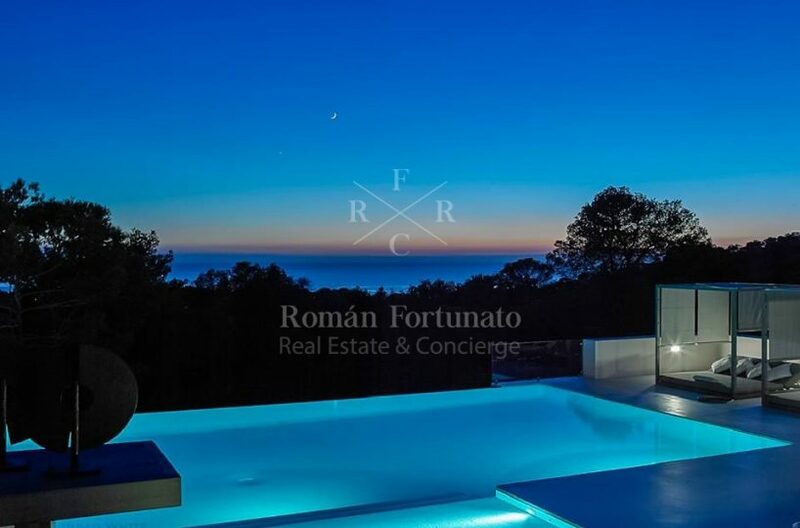 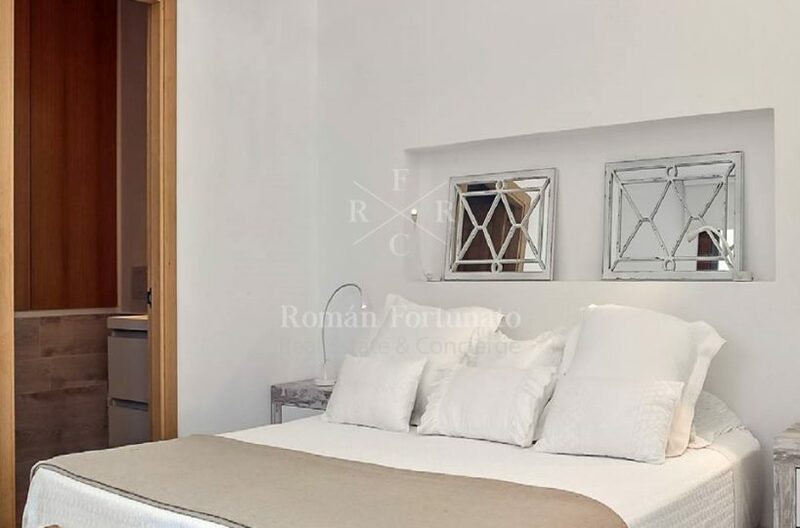 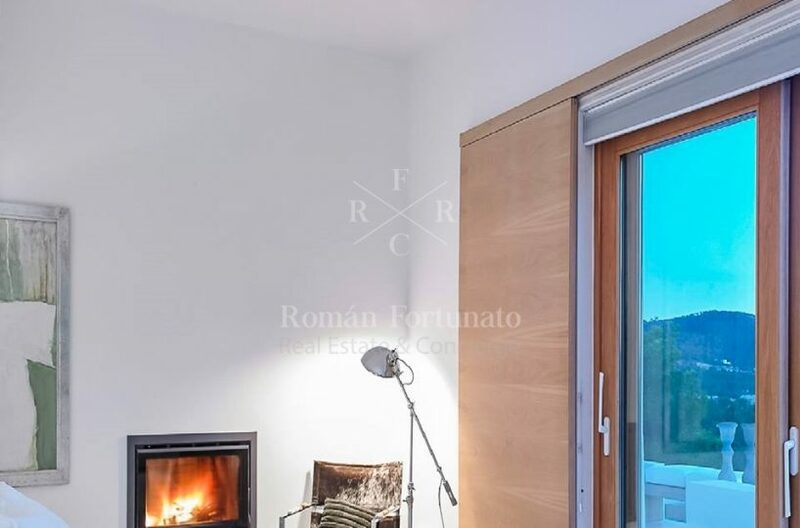 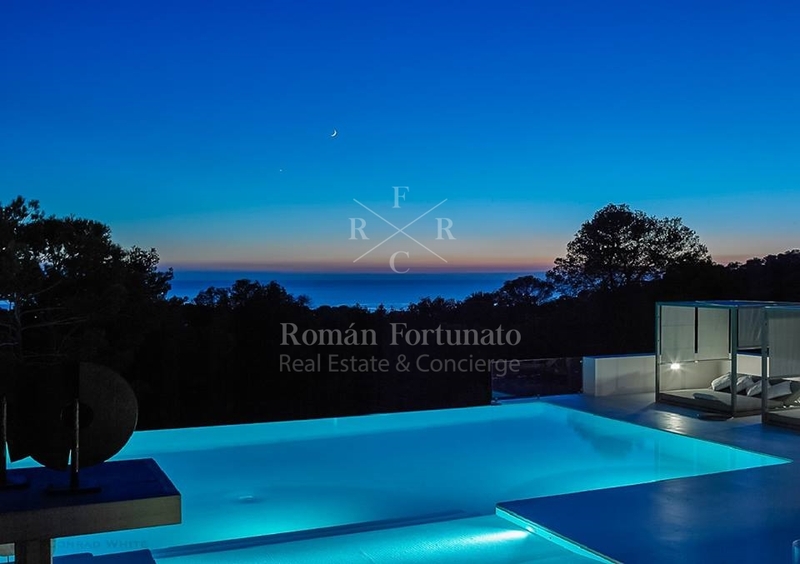 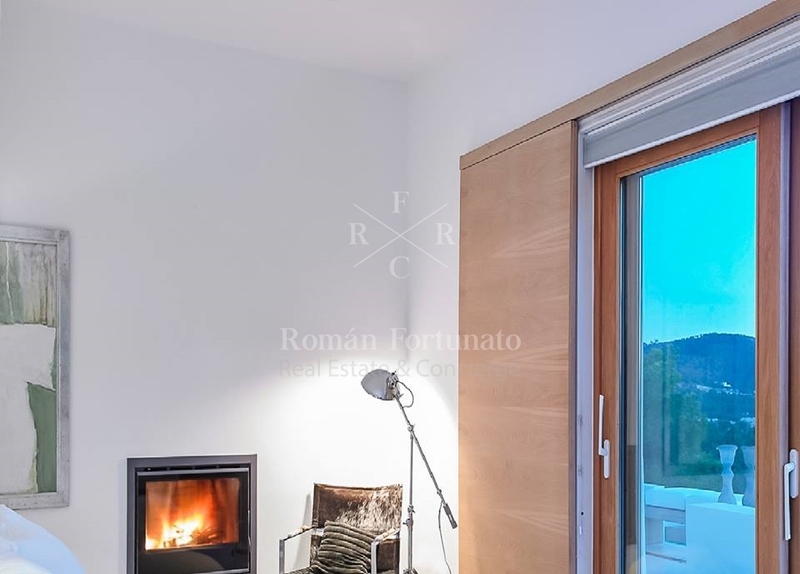 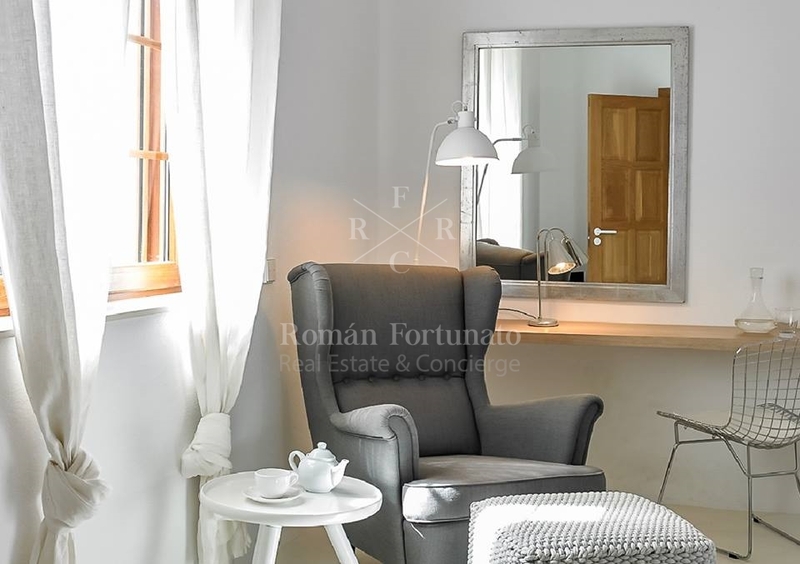 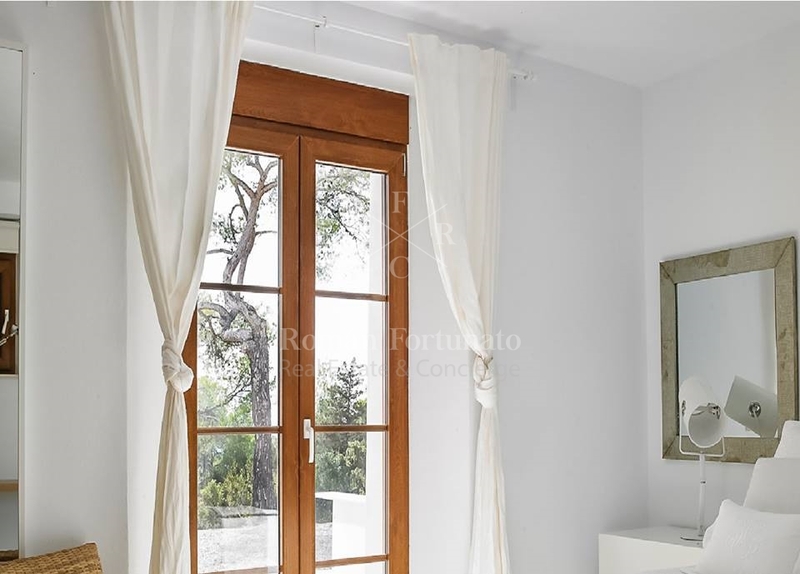 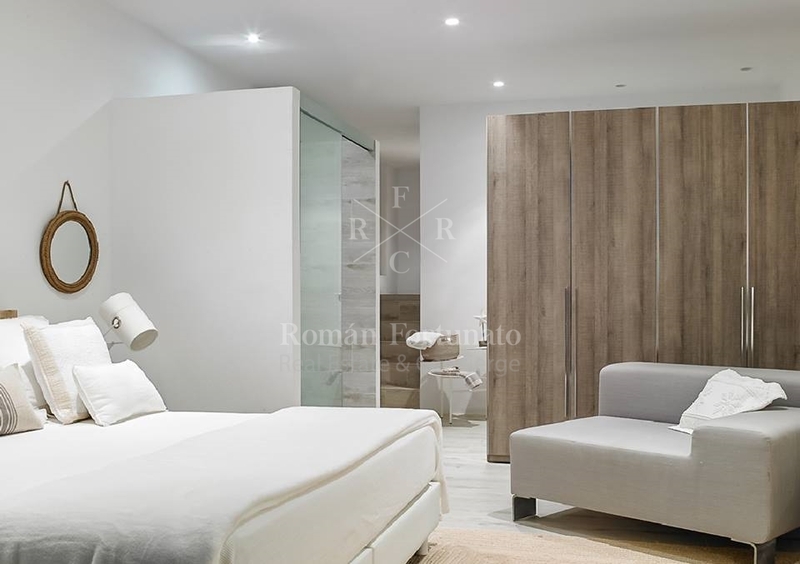 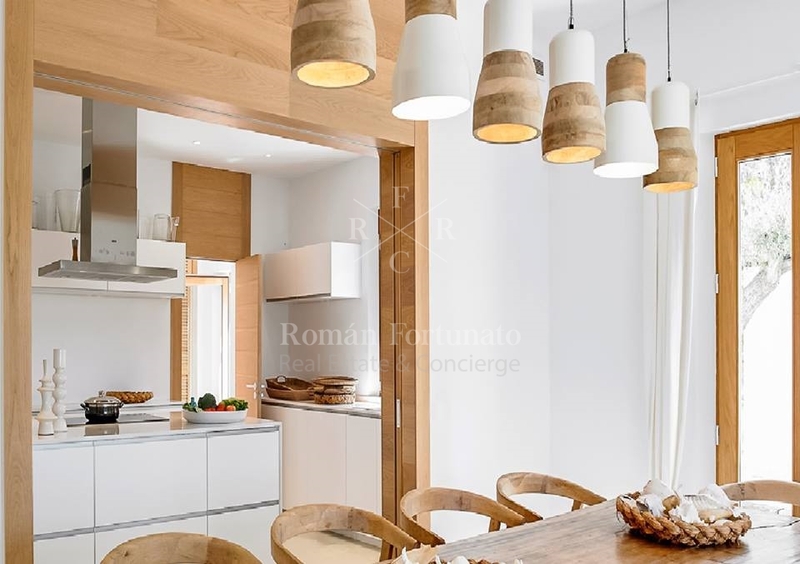 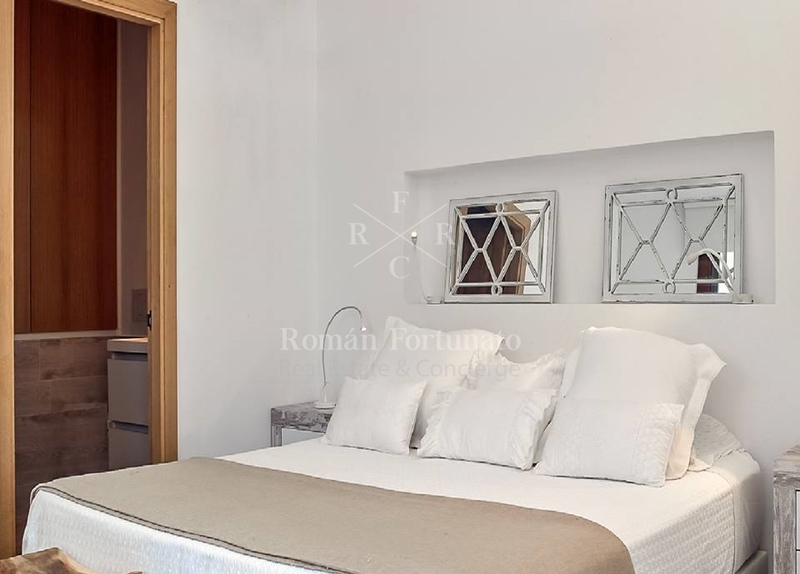 The property is set in a high-end neighborhood and enjoys privacy due to the dimensions of the plot which includes a pine forest. 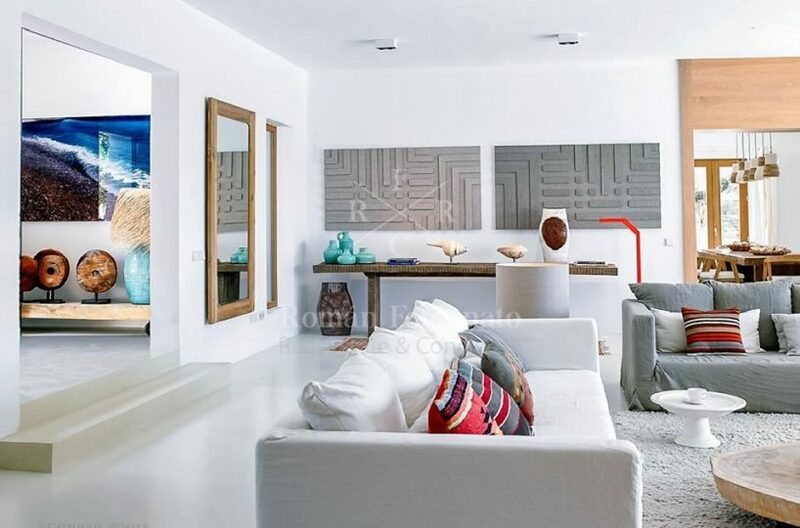 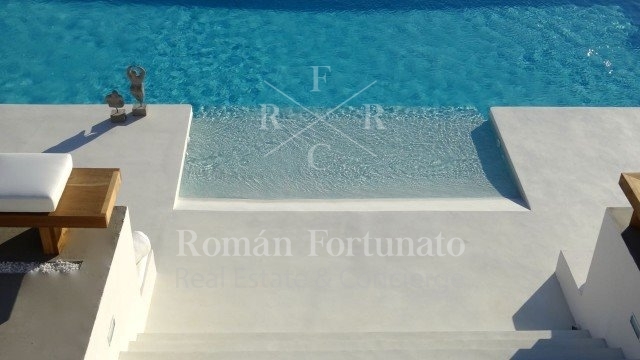 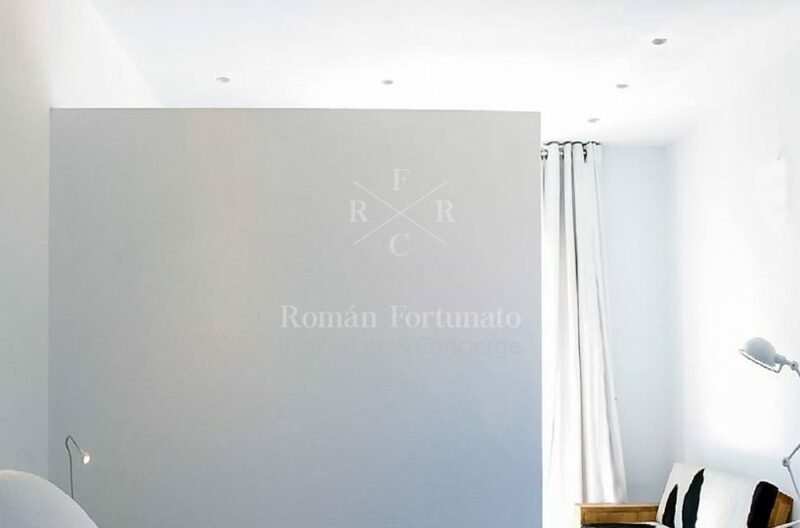 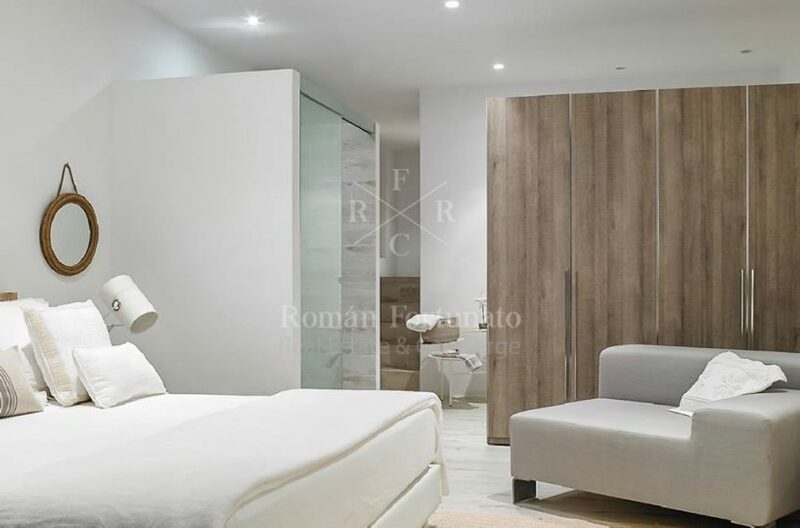 Designed with traditional Spanish colonial architecture mixed with an ultra modern, sleek and stylish aesthetic, this villa brings new life to the classical style. 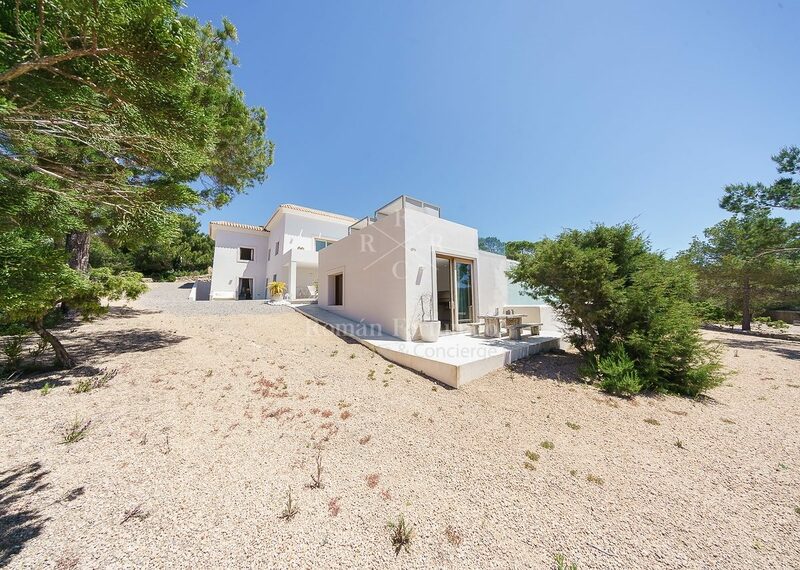 The exterior is designed with sharp straight lines, a clay tiled roof, and numerous openings to the interior. 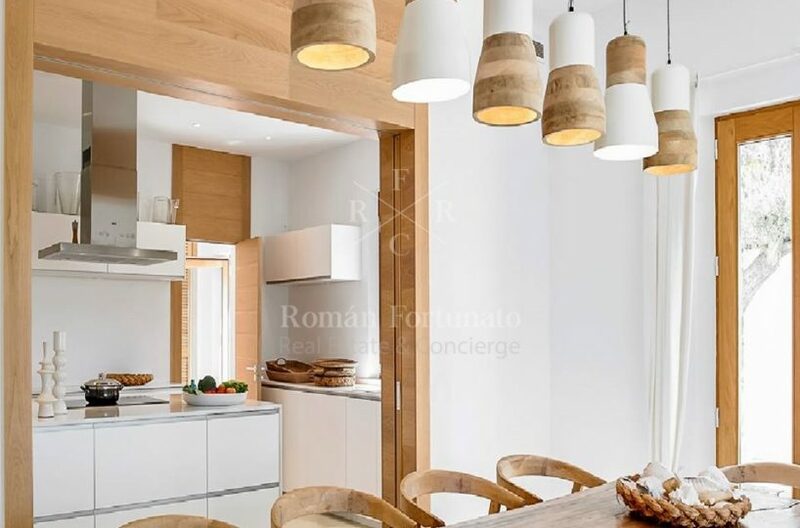 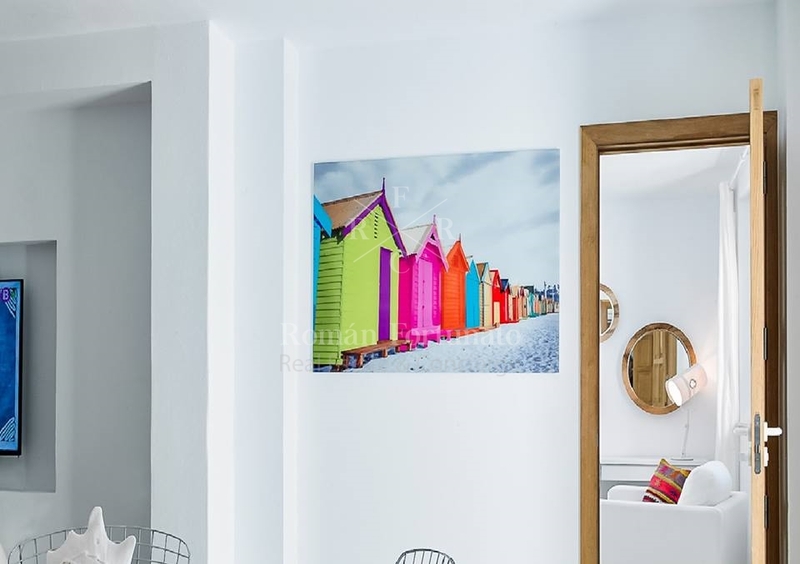 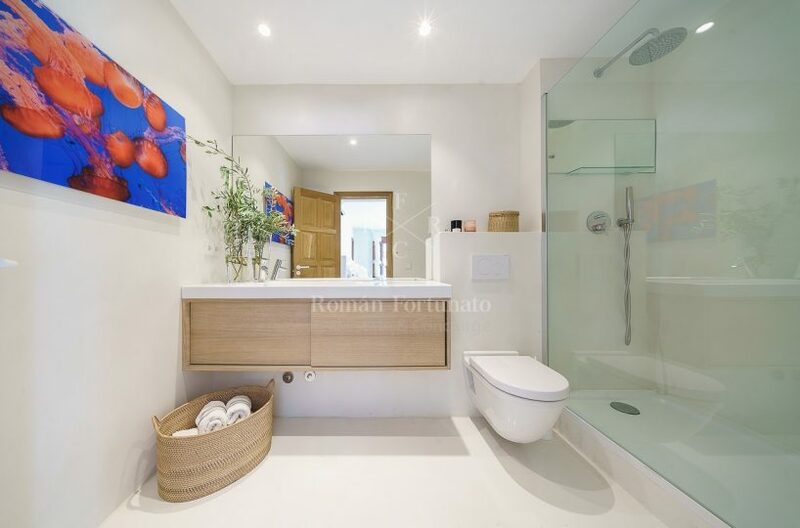 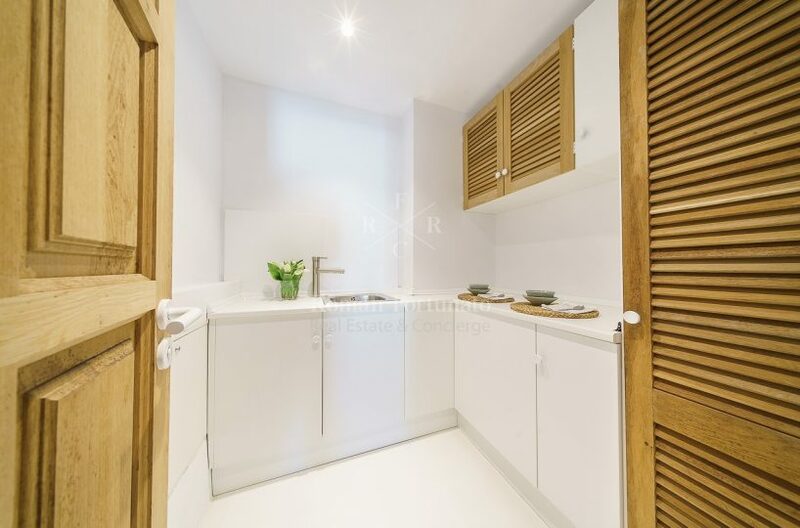 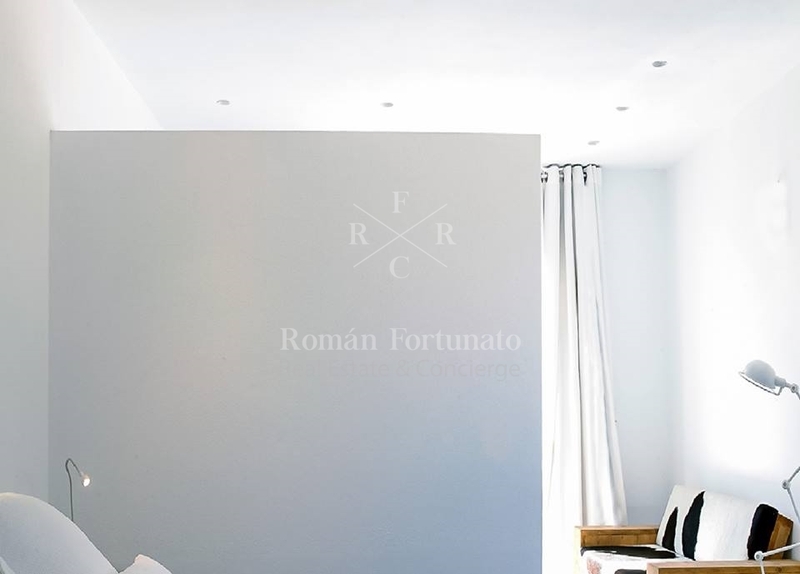 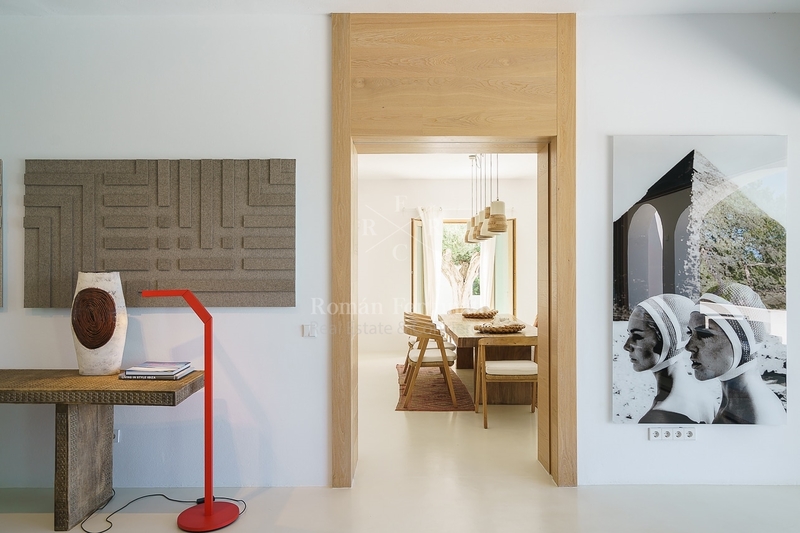 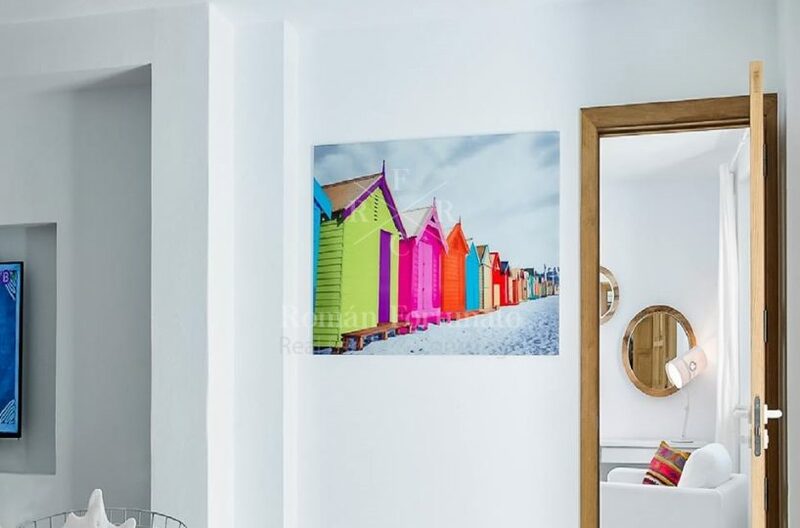 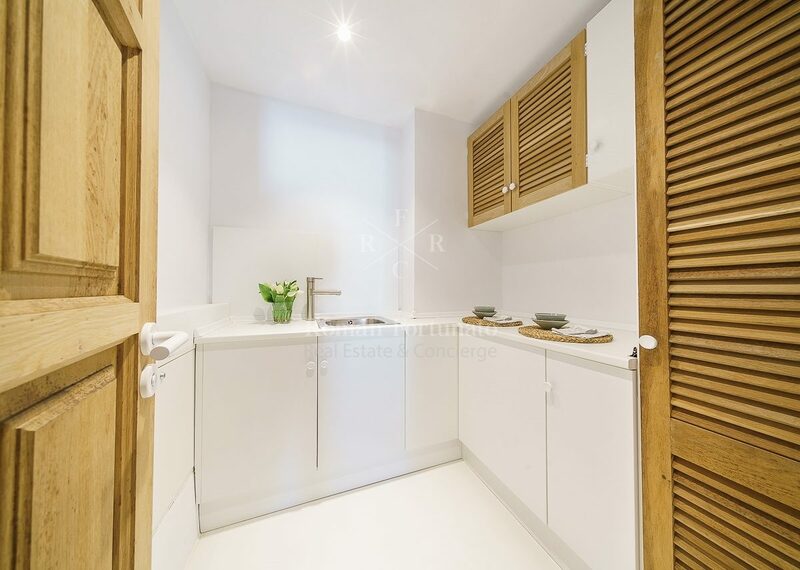 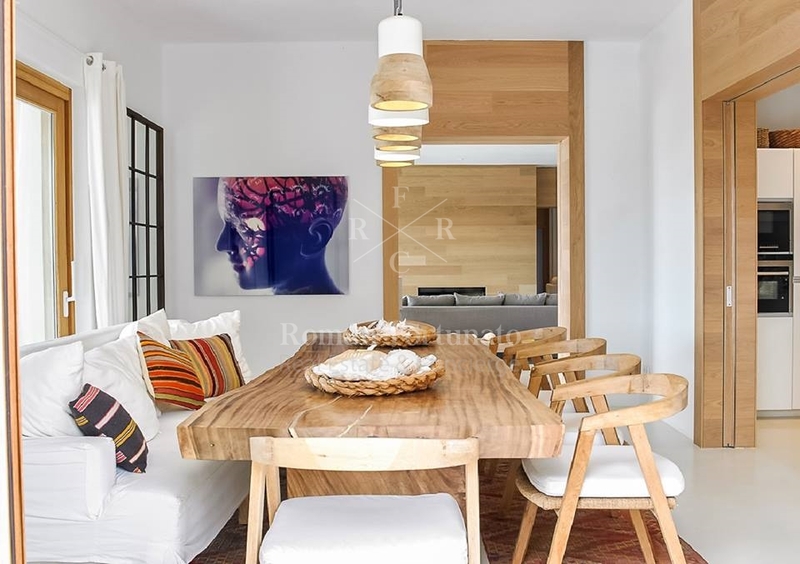 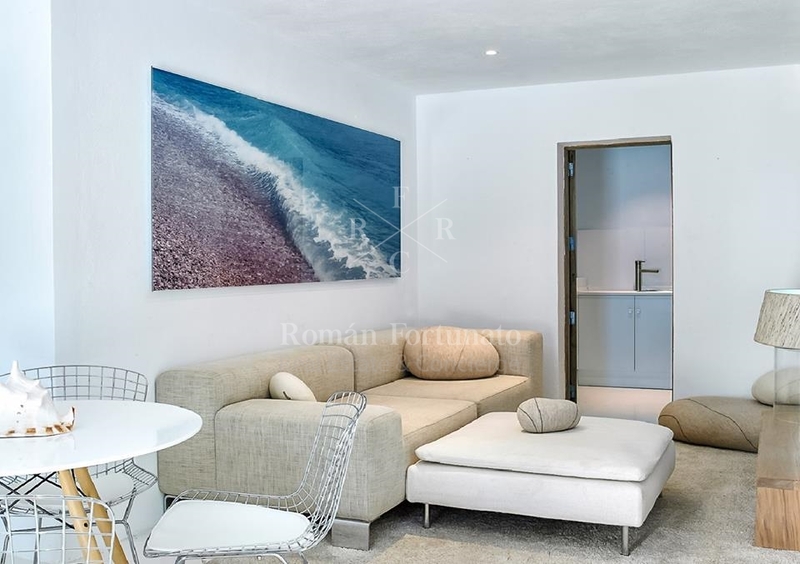 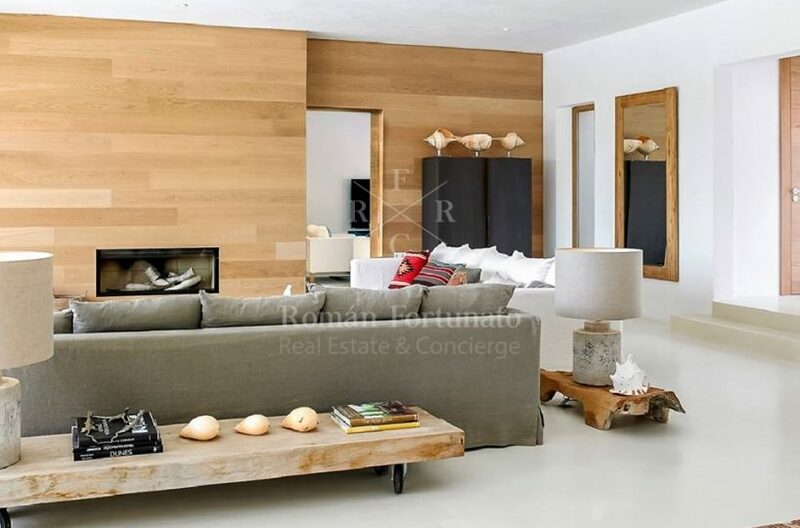 Inside, a predominantly white colour scheme is used to promote a clean, bright atmosphere, while light wooden fixtures and bright artwork and throw pillows add splashes of colour. 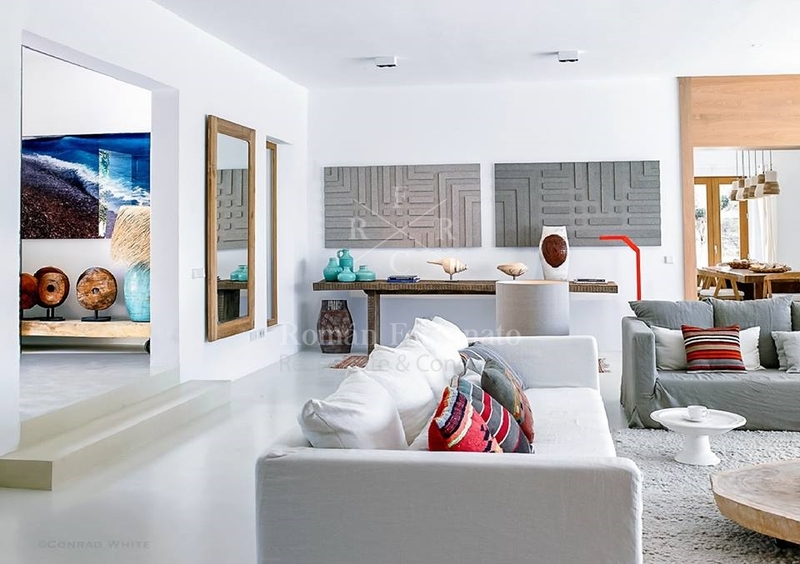 Plush couches and armchairs, unique local art, and designer lighting fixtures decorate the living room, an inviting, comfortable space to relax after a day at the beach. The kitchen is a chef’s dream. 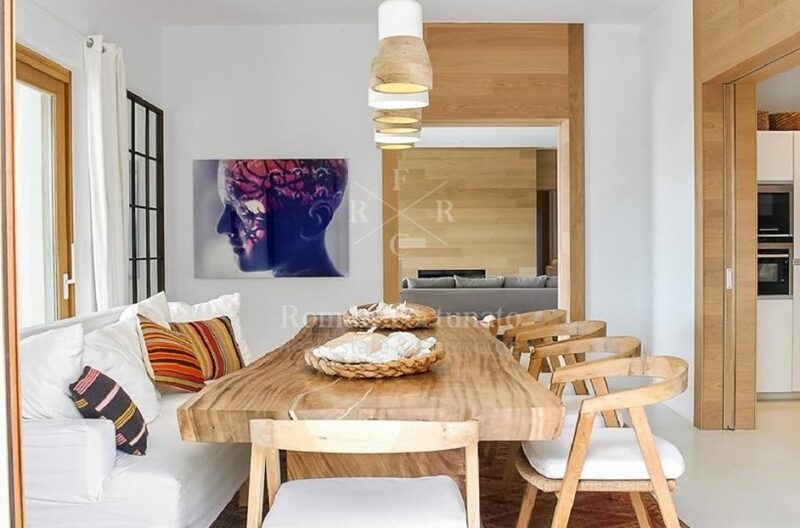 Plenty of countertop workspace, state of the art appliances, and a bright open concept design make the kitchen a great social space as well. 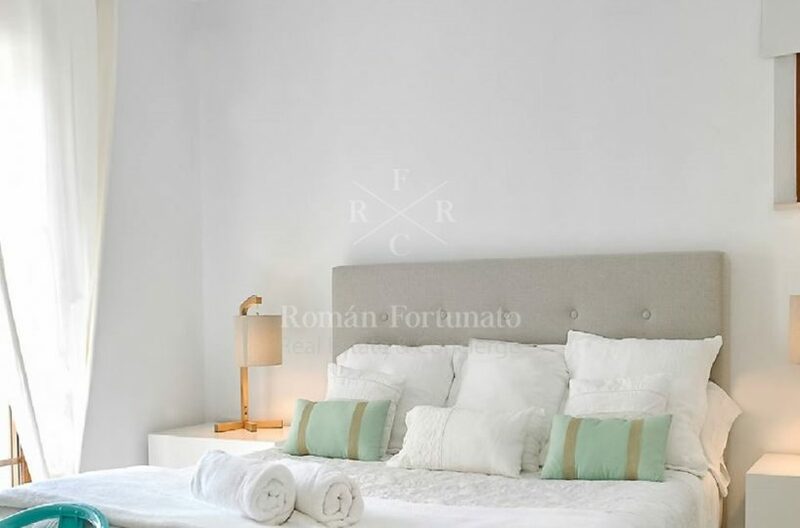 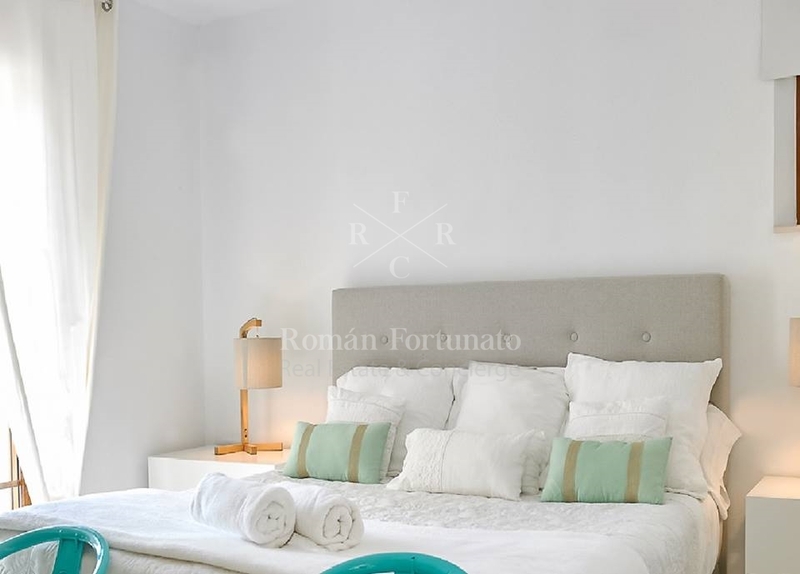 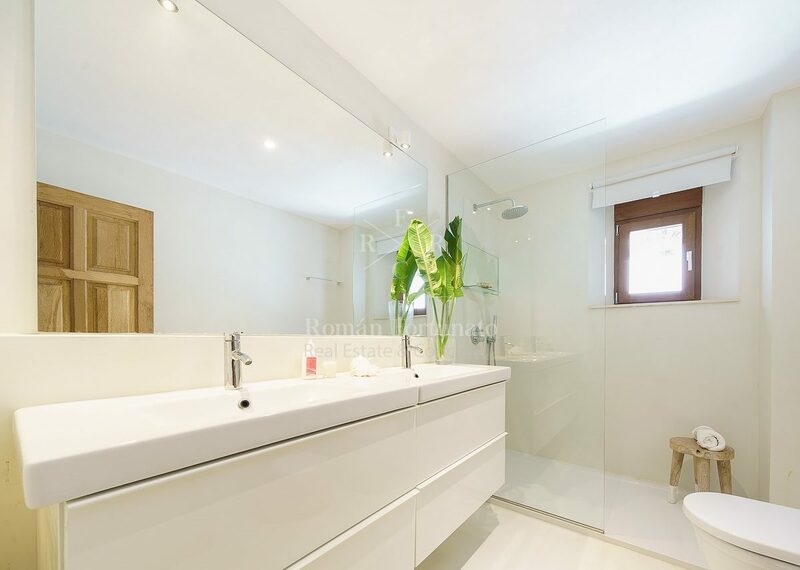 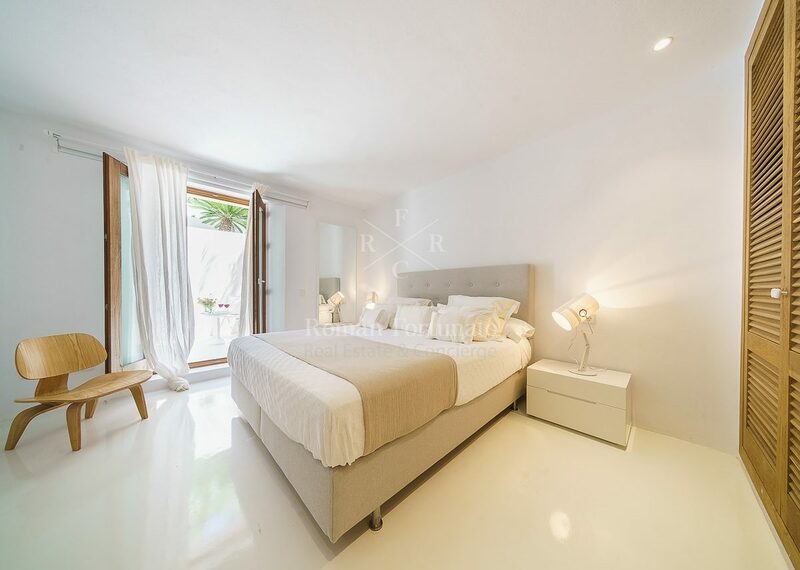 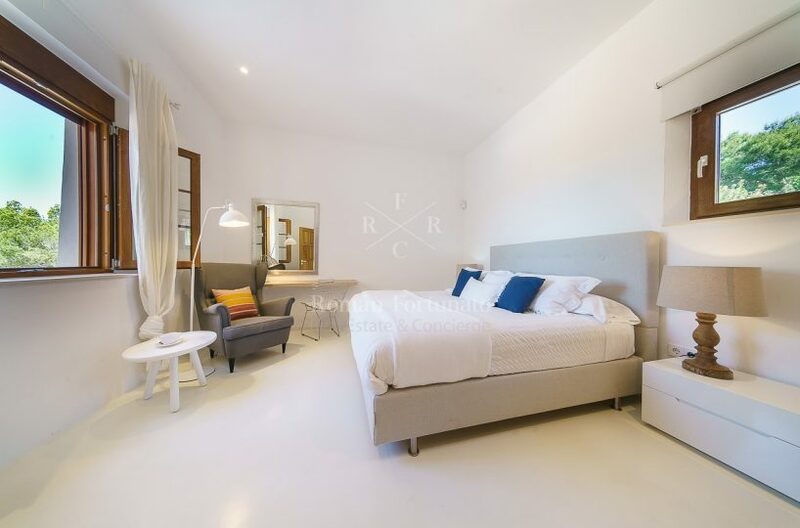 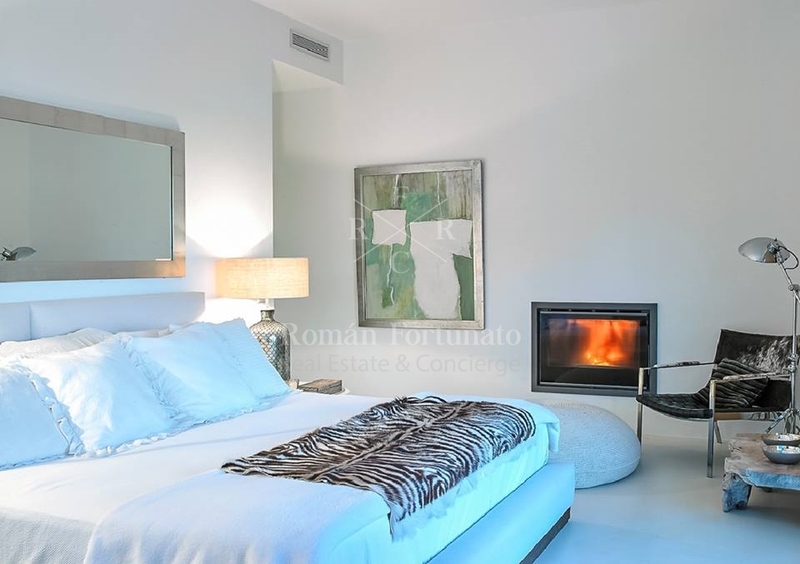 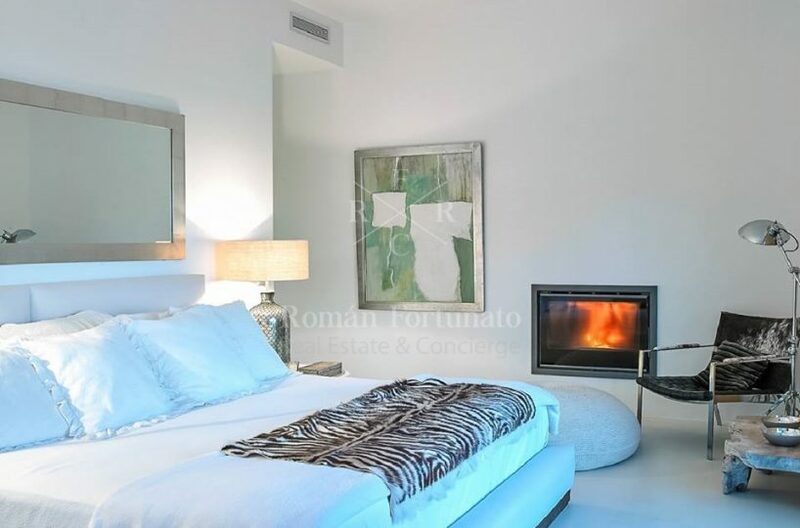 This beautiful property has a total of seven bedrooms, all with king sized beds. 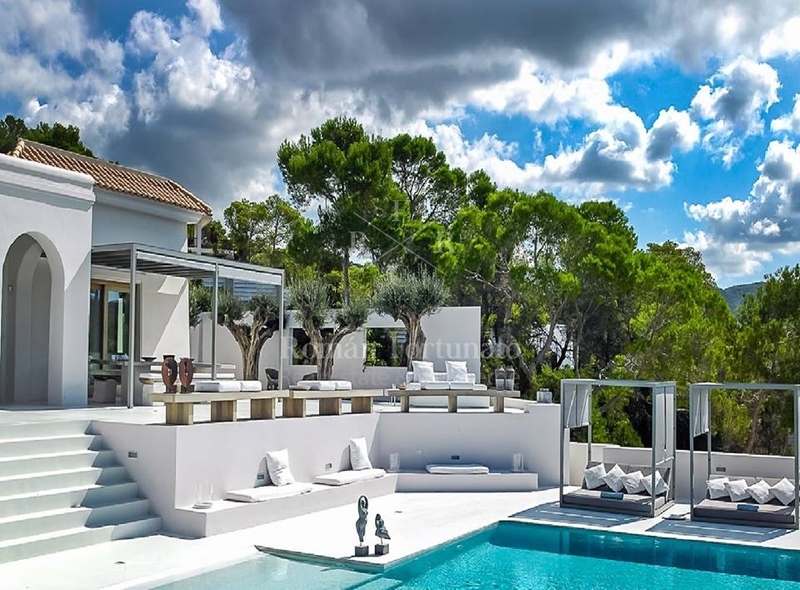 Ideal for hosting, Villa Can Gospa’s terrace has ample outdoor living spaces, alfresco dining, and a pristine swimming pool, all surrounded by lush greenery. 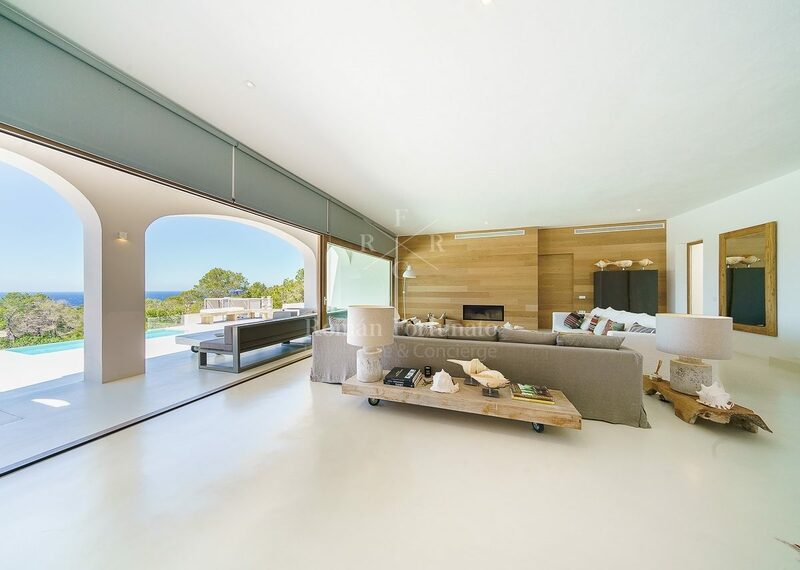 Inside you’ll enjoy television, Apple TV, Wi-Fi, air conditioning.